Symantec Corporation /sɪˈmænˌtɛk/ (commonly known as Symantec) is an American software company headquartered in Mountain View, California, United States. The company provides cybersecurity software and services. Symantec is a Fortune 500 company and a member of the S&P 500 stock-market index. The company also has development centers in Pune, Chennai and Bengaluru (India). Installation of Norton Security Deluxe proofed simple and straightforward. The basic installation needs a reboot for completing, nothing special as some other developers have an equal procedure. 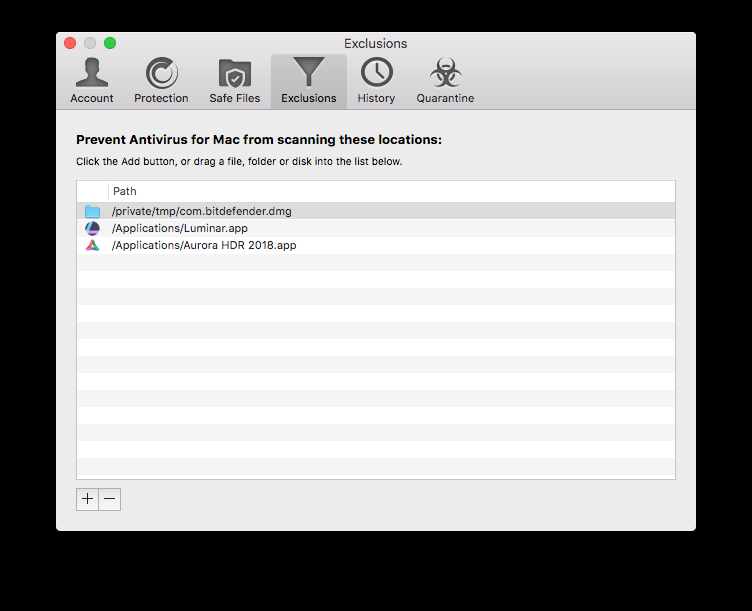 Make sure to uninstall any other antivirus on your Mac before adding Norton. 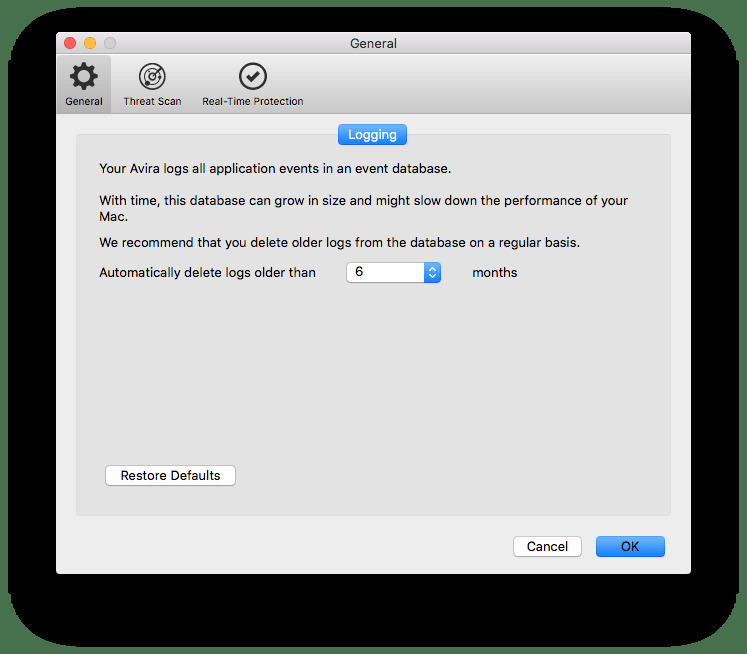 Two similar programs can produce a lot of problems on your running Mac. 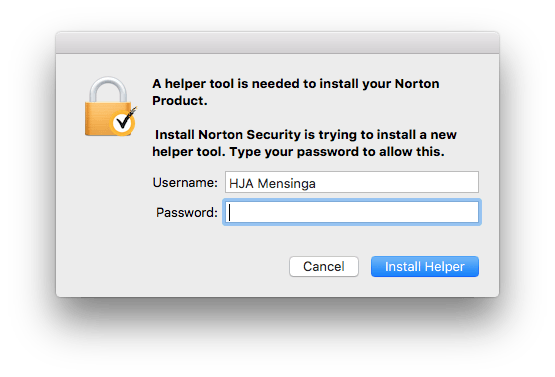 During installation the installer asks for permission to install a helper tool. After reboot, open Norton and make sure to run LiveUpdate. Now the big question Why do we need Antivirus software for our computers ? So do Macs get viruses? 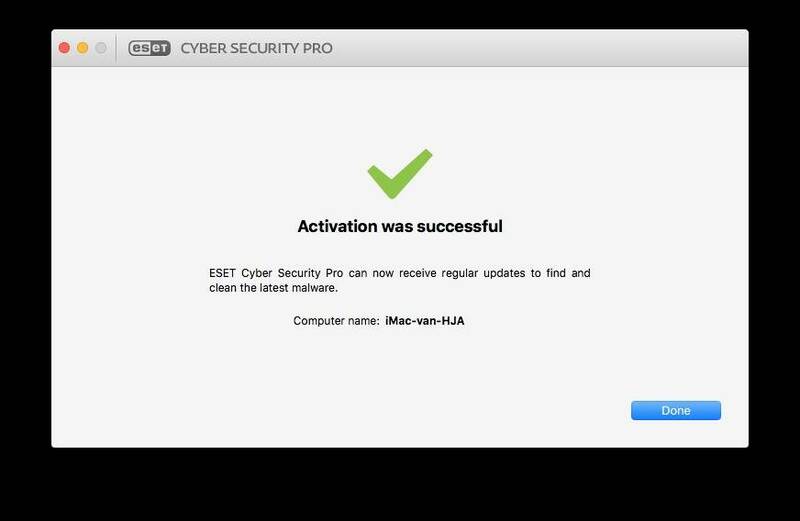 And do Macs need antivirus software? Answering both questions is simple Yes and Yes. 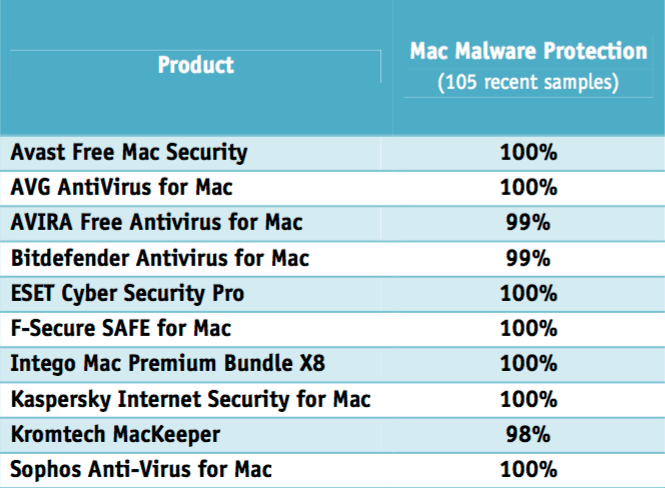 Although a Mac is considered more safe to PC’s, they also face the same treats as PC’s do. In the past Mac’s were not widely used on our planet so they were less interesting to people trying to pry in your computer software and look for any interesting data like your bankaccount and used passwords etcetera. But in recent years, as the Mac’s popularity has grown, Macs have gained the attention of those looking to hijack data. 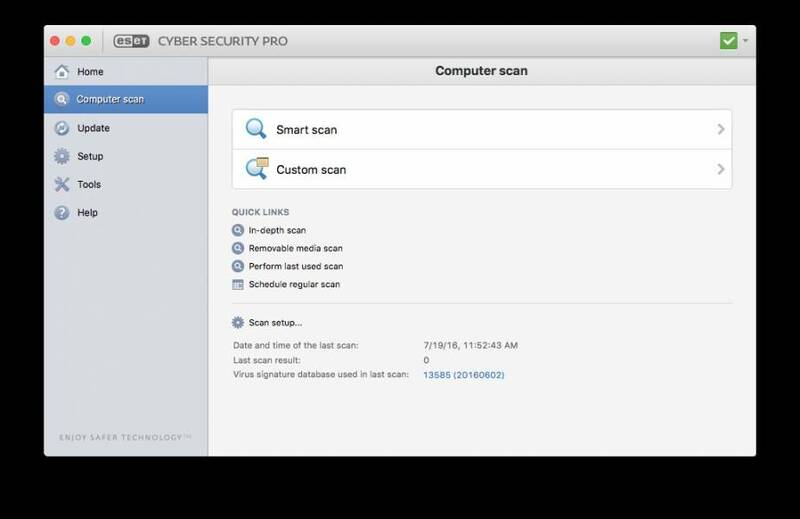 We have a complete list of all the Mac viruses, malware and security flaws that have hit the operating system here. Despite this interest, Macs have generally remained secure. Thanks to the fact that MacOS is based on Unix, a kind of default security is build-in. Apple itself has included Gatekeeper and number of security measures that make attacking a Mac particularly challenging. 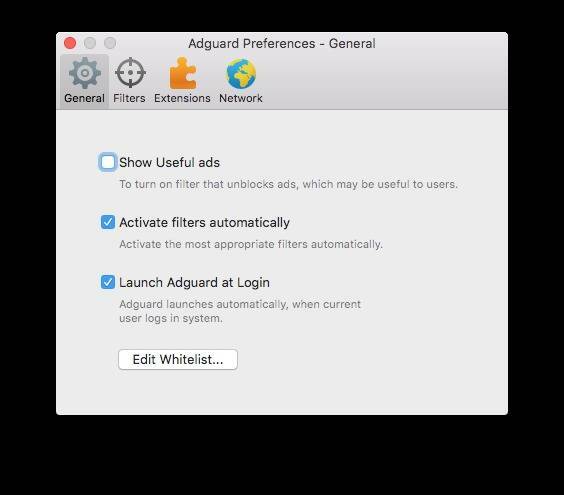 Gatekeeper, blocks software that hasn’t been digitally approved by Apple from running on your Mac without your agreement. 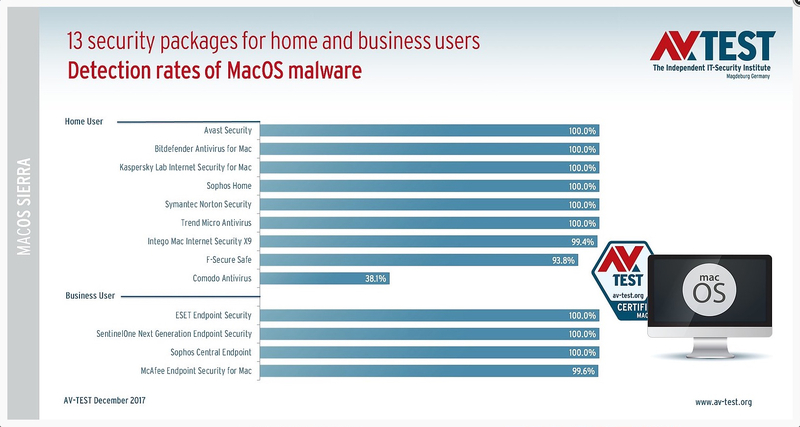 Still plenty of risks left, and Macs haven’t managed to completely avoid being targeted. According to a report from Malwarebytes in August 2017, there was a 230 per cent increase in Mac malware in 2017. So YES your Mac needs protection! Now there is a fast growing list of developers specialised in antivirus security all claiming to be best to buy. Of course if life was that simple, there would be only one software application available on the marker solving all our problems. We ( Macsoftreview )are not able to simply setup a full known malware and virus database for checking the software’s capabilities in catching exploits and vulnerabilities. We just rely on AV-TEST which is the best known It-Security Institute from Germany. They are able to test in absolute equal conditions for every package, and measure system impact is most accurate on their systems. Updates are performed on a regular bases to check if later software-editions have evolved. Below the latest independent test shows all scores. 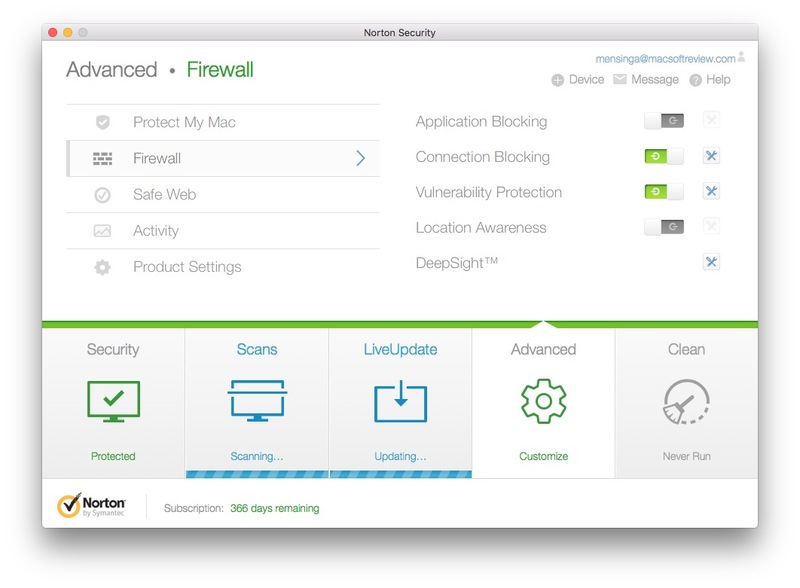 Symantec Norton Security Deluxe scores a full 100% detection rate ! 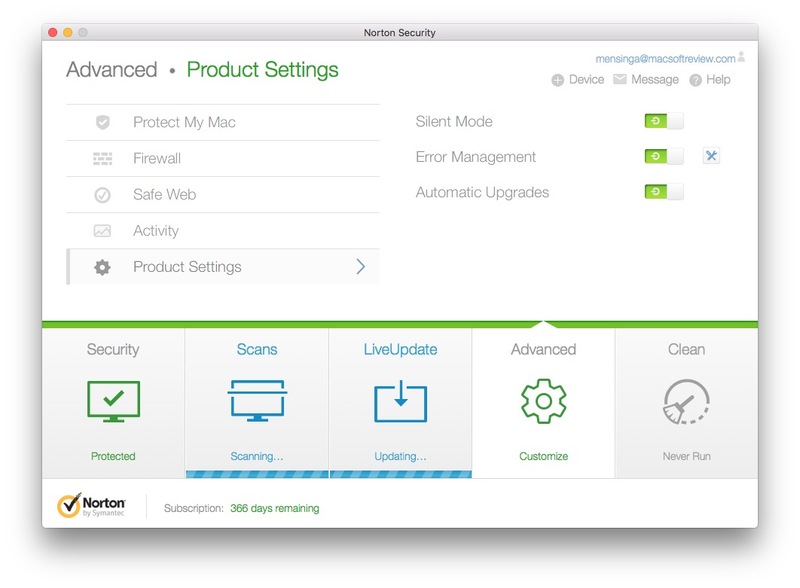 So top marks for detection, but check the system impact performance of Norton Security Deluxe ! BEST of all tested packages. Infact, its nearly as good as their reference system. 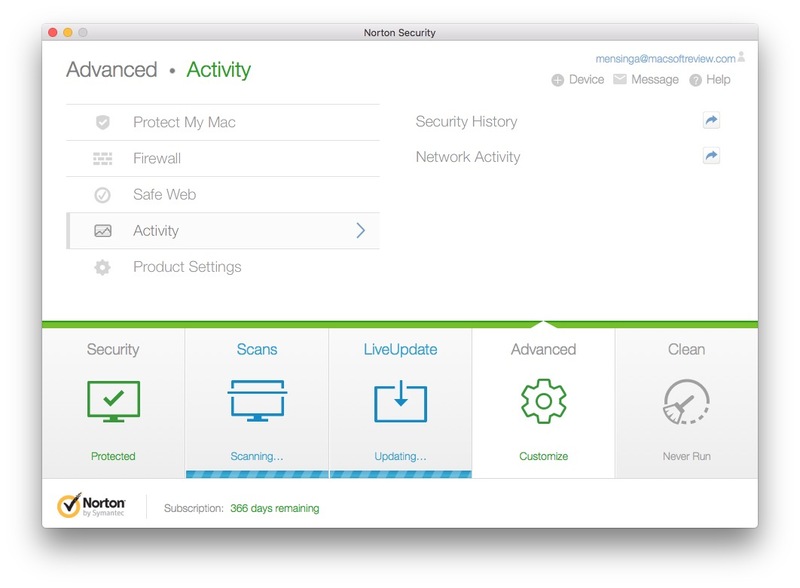 PERFECT scores for Norton Security Deluxe. 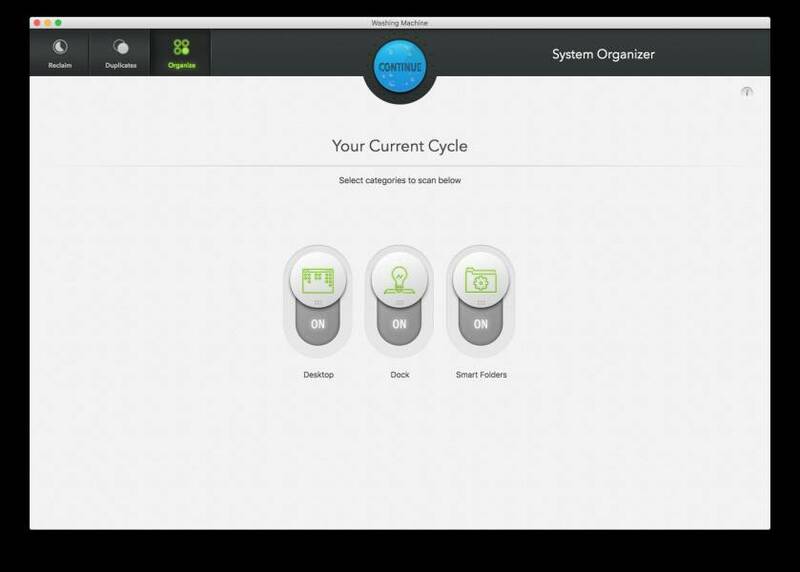 A well designed interface shows all information and adjustable settings. The firewall is not as strict as I would like it to be. 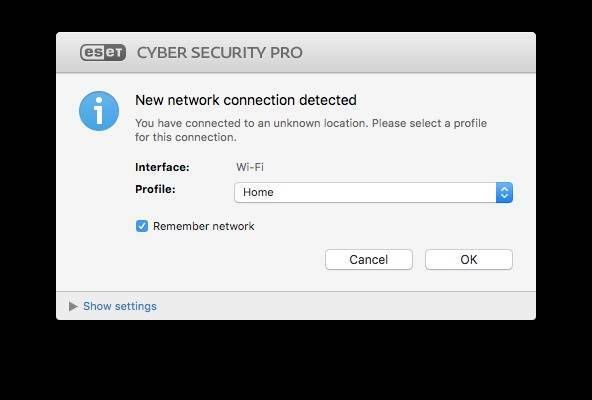 As the connected network is ‘trusted’ automatically all installed apps seem to be trusted. 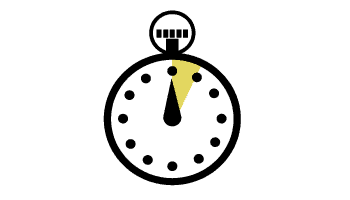 Symantec™ DeepSight Early Warning Services provides organizations with timely, relevant threat and vulnerability exposure intelligence delivered through an intuitive web-based portal as well as through real-time alerts. Organizations can use this valuable global visibility and intelligence to help ensure that they adapt their security and risk profile to keep pace with the rapidly changing threat landscape. Activity is really well captured with Norton Deluxe. The build-in firewall is pretty impressive and a true bonus in this package. All outgoing communication is monitored and needs users-approval to communicate with outside world. Its a more basic version of Little Snitch application. 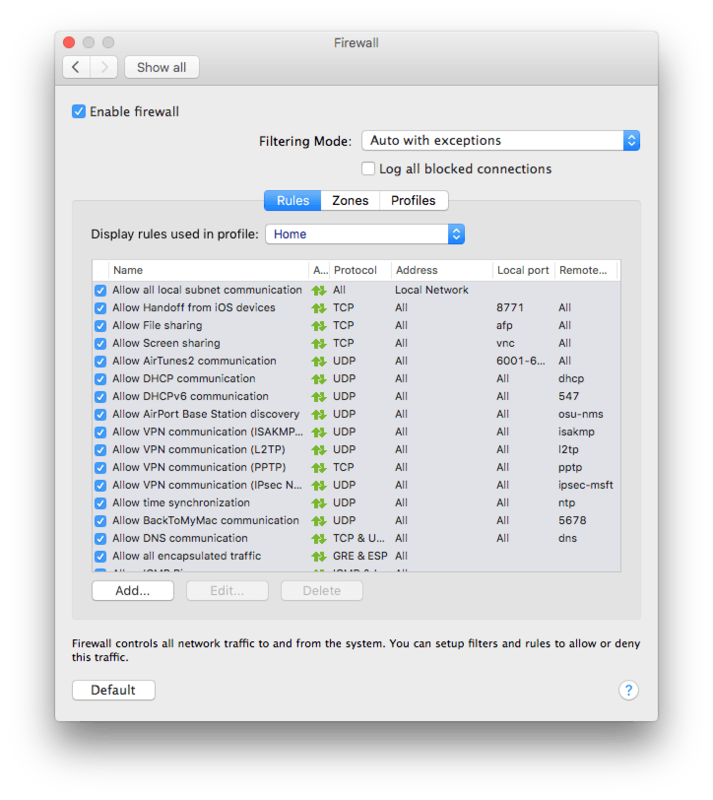 Network activity is showing you all information about in-outgoing connections specified with IP’s, Ports, Remote ID’s, Traffic, etc. An absolute bonus for every user and made available in a simple interface. Now we know that the protection level of Norton Deluxe is best and system impact is unbeaten, we move on to check Scan-Time performance. Our earlier best performing antivirus application was Bitdefender so its fair to pu these two in a simple test. 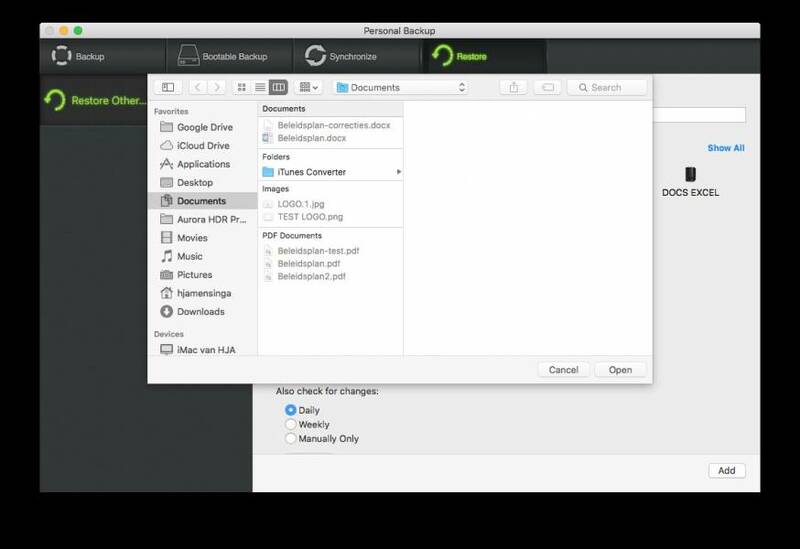 A created file of 43Gb was created with mixed data containing pictures, docs, dmg files and such. 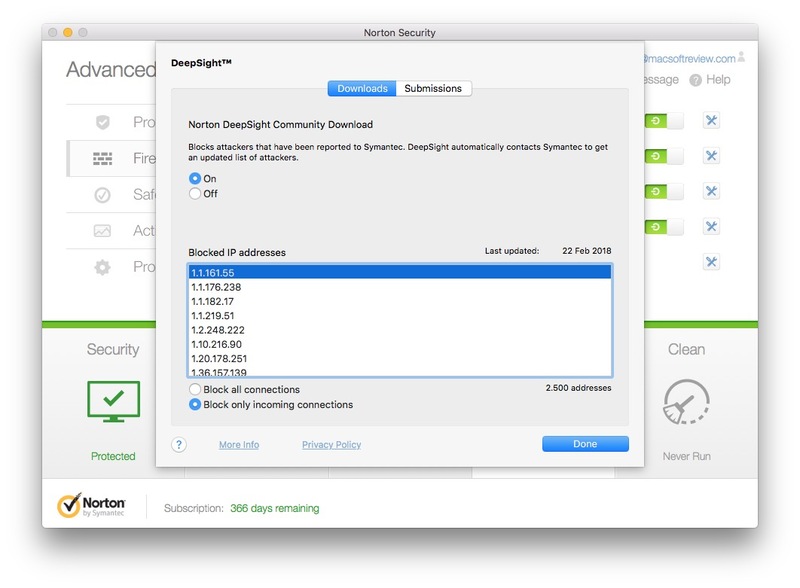 Our test show a huge win of Norton over Bitdefender od approx. 38% faster scanning of the created Test-map. Well done Norton. ! Bitdefender will set you back for approx $ 29 and Norton Security Deluxe costs $39.99. Mind you this price is a special 1-year offer. If Norton keeps their pricing at this level, they have a true Antivirus for Mac winner in store. Norton Security Deluxe really surprised us with best detection rates, topped with best ever ‘system-impact’ levels putting Norton Security Deluxe on 1st place. 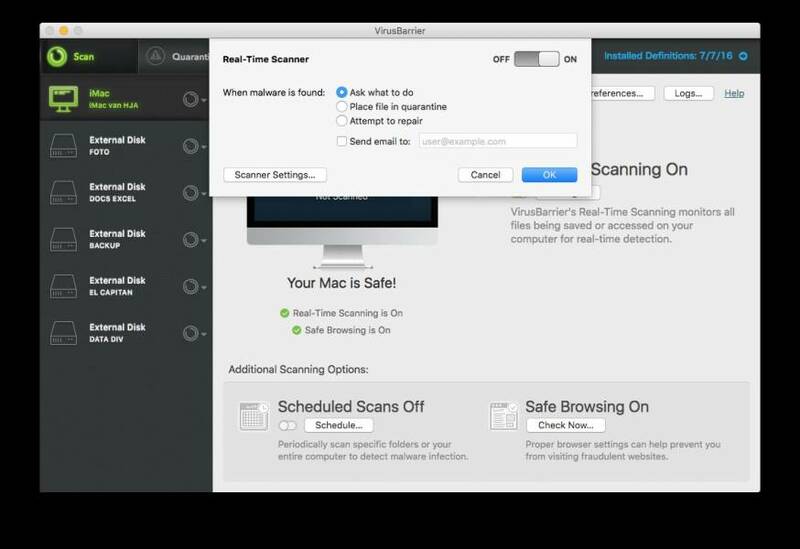 Scan-Time was great beating Bitdefender by 38% when scanning mixed-data. 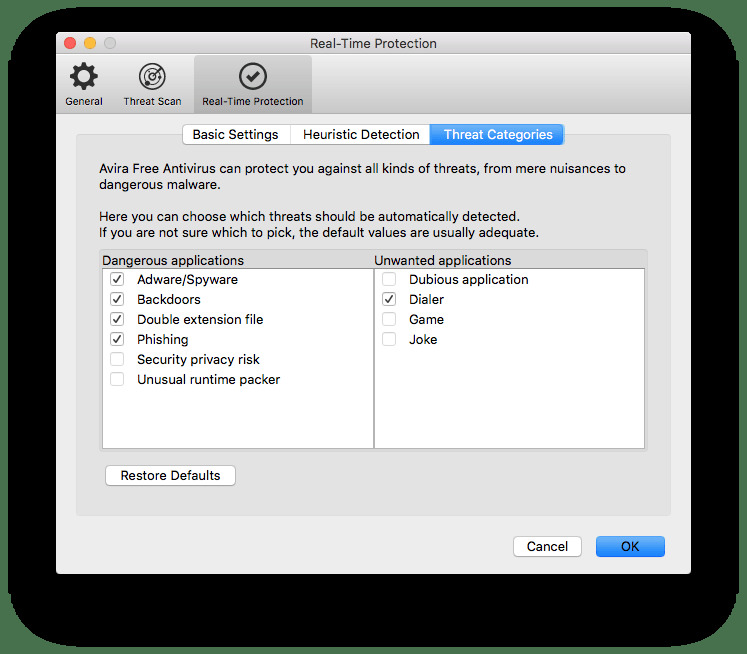 Norton added some great features as a Firewall and control of in – and outgoing communications making Norton the winner of best Antivirus application for Mac. Great network activity information is provided as well as internet protection. Includes100% guarantee: From the moment you subscribe, a Norton expert will help keep your device(s) virus-free or give you a refund. Defends against ransomware to provide safety and piece of mind for the user. 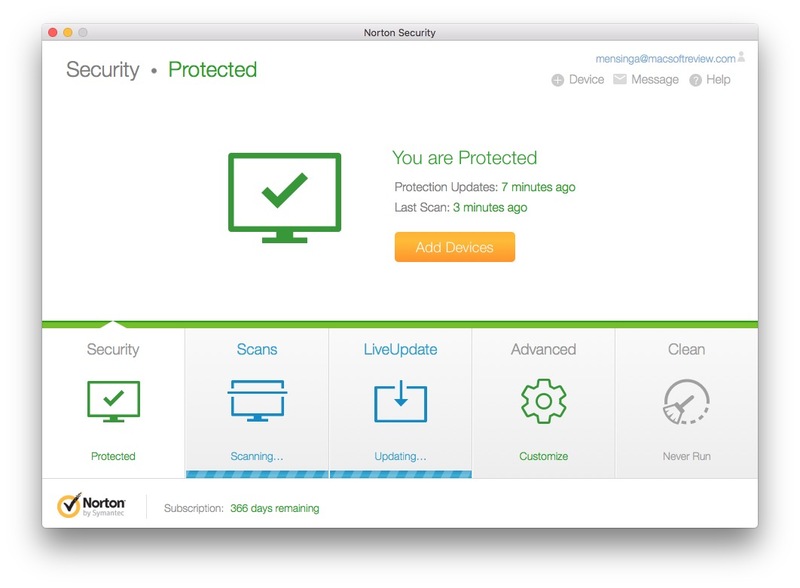 Norton Security Deluxe provides installation up-to 5 Pc’s, Mac’s and or tablets. 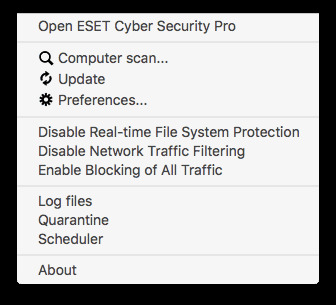 Want the best available Antivirus for Mac? 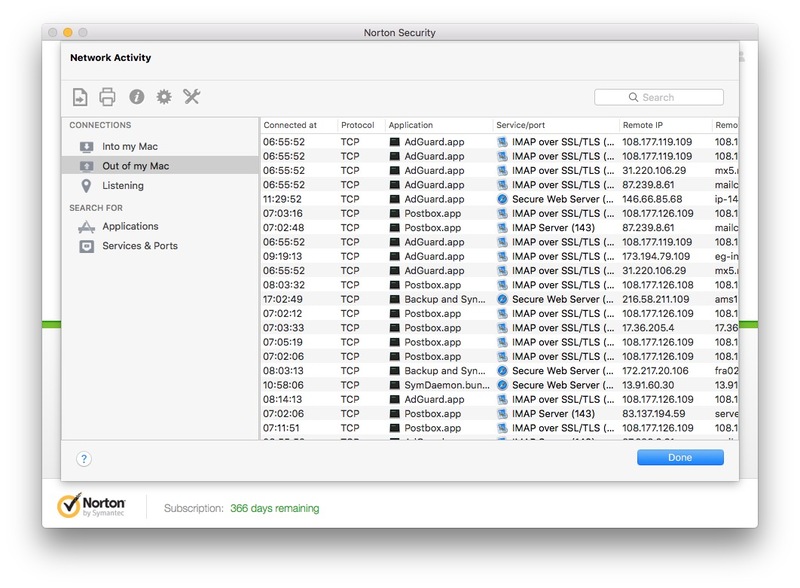 Norton Security Deluxe is the best as of today Febr. 2018. Bitdefender is a Romanian cybersecurity and anti-virus software company. It was founded in 2001 by Florin Talpeş who is currently the CEO. Bitdefender develops and sells anti-virus software, internet security software, endpoint security software, and other cybersecurity products and services. Security is one of the mayor problems for computers nowadays, especially PC systems are vulnerable for attacks by malware or sophisticated ransomware. Past year shows that even companies don’t have the right protection installed on their netword-servers. Ransomware is hot business as is identity theft. Cyberwar is on the edge of becoming a daily threat to anyone really. Even the average user can be faced with some serious (financial) problems when leaving their private stuff ready for anyone to steal. An internet security and antivirus is not something to think about but should have been bought with the computer from day one. Its just no use having regrets when its too late. Better Safe then Sorry is my opinion. So where does this leave us all knowing and understanding that a antivirus software app is needed. 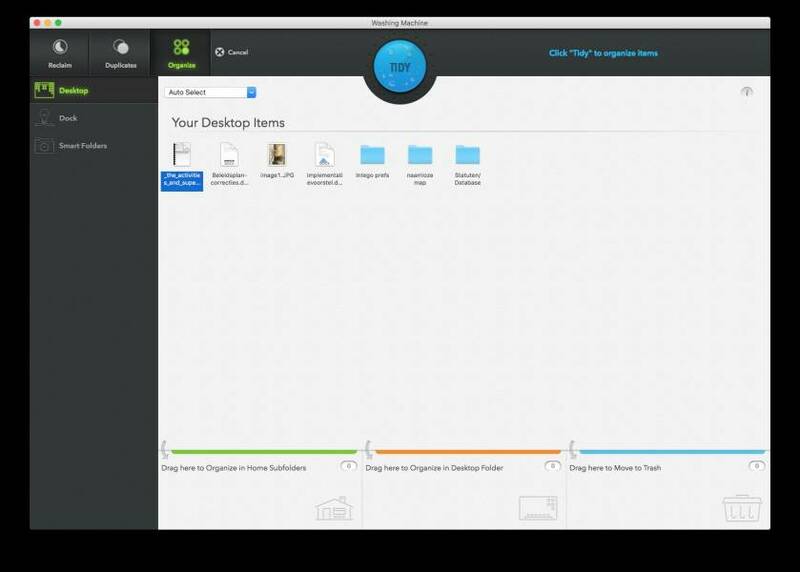 There are a number of good software apps on the market even some fair ones for free ! _ PC’s are more vulnerable then Macs, Not is essence True, but there are more PC’s sold then Apple Mac’s, which offer a larger market for criminals. _ In Q3 2016 alone, 18 million new malware samples were captured. _ More than 4,000 ransomware attacks have occurred every day since the beginning of 2016. I hope these figures will put this article and the Bitdefender software in some perspective. 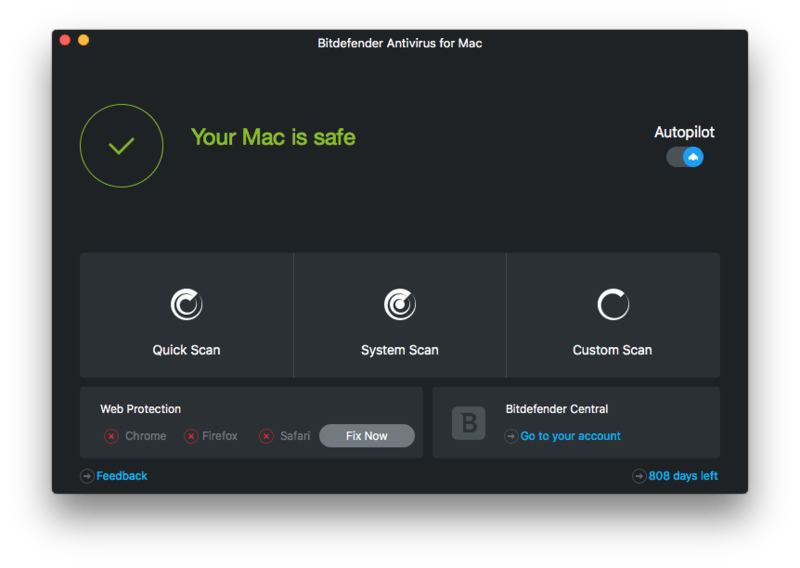 In order to install you need to setup a Bitdefender Central account and provide the actual serial number to download the software. 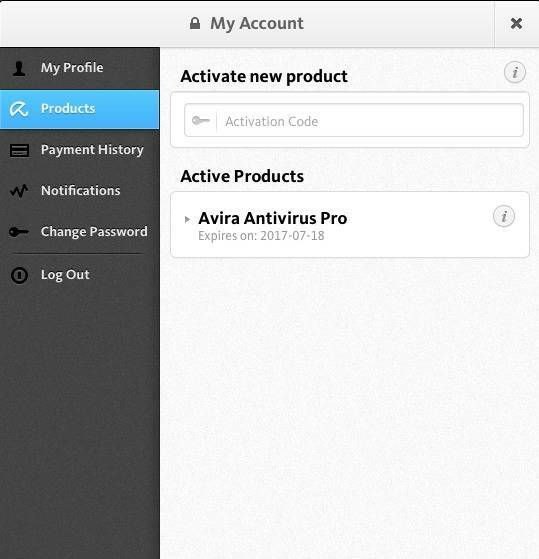 The Bitdefender Central account will be your place to manage your subscription(s). The application itself will always check in the background the stored information and valid period of the software. Once downloaded and installed, Bitdefender 2018 provides a single screen from which all features can be managed and accessed. This makes working with the programme easy and simple in use. 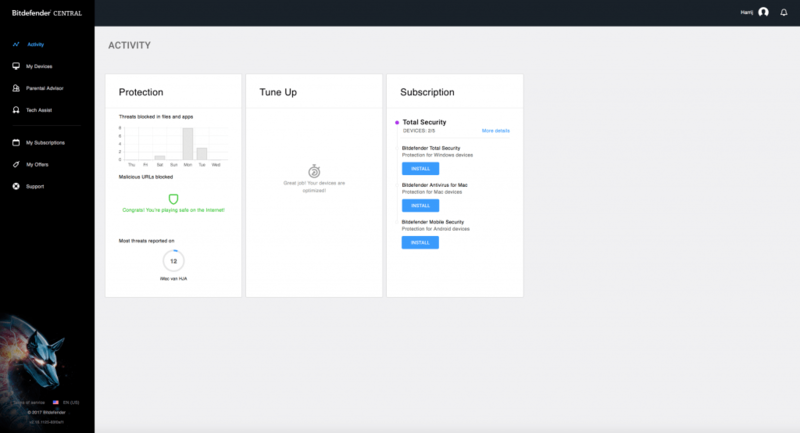 The dashboard provides all information whether your device is protected and whether the software is up to date or not. 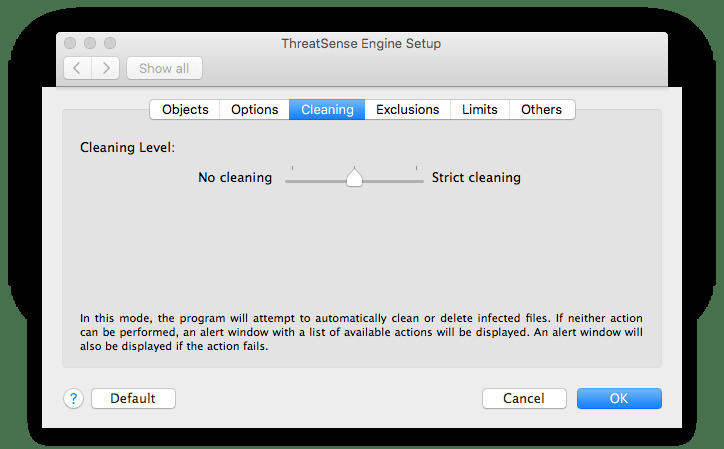 – Bitdefender Total Security 2018 uses a technique called behavioral detection to closely monitor active apps. The moment it detects anything suspicious, it takes instant action to prevent infections. – With Parental Advisor, you can discreetly supervise your children’s online activities to keep them safe. Filter out inappropriate content and keep up with your kids’ location or activities from your web Bitdefender Central account. – With Bitdefender Safe Files you can prevent unauthorized changes to your most important files. 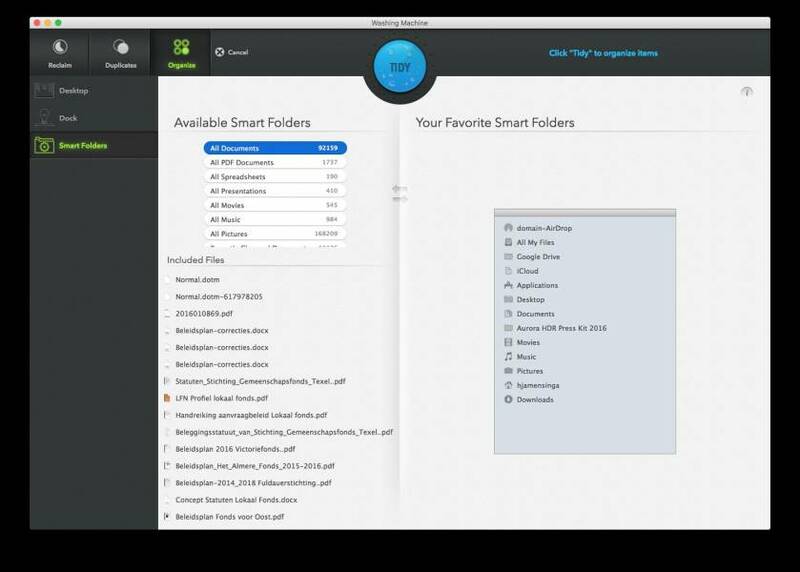 You simply add folders to the watch list, and Bitdefender guards the files stored in them against ransomware and other types of malware. 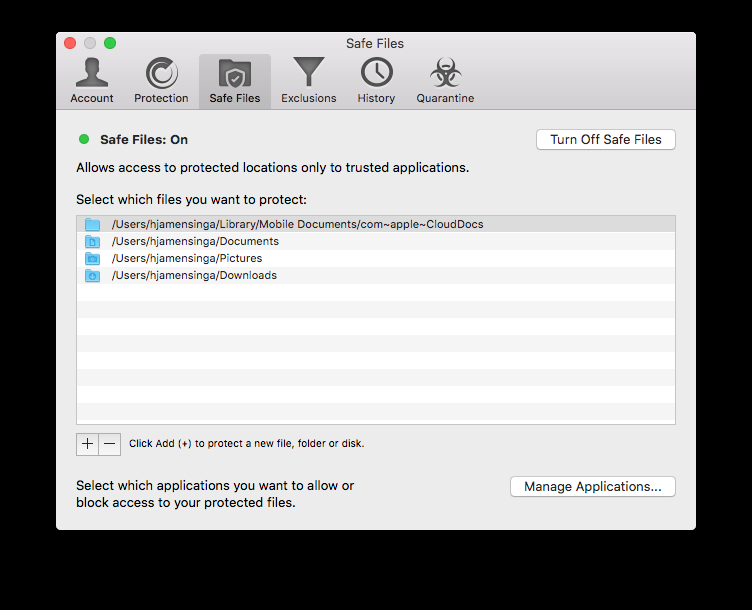 Only applications that you explicitly trust are allowed access to your Safe Files. 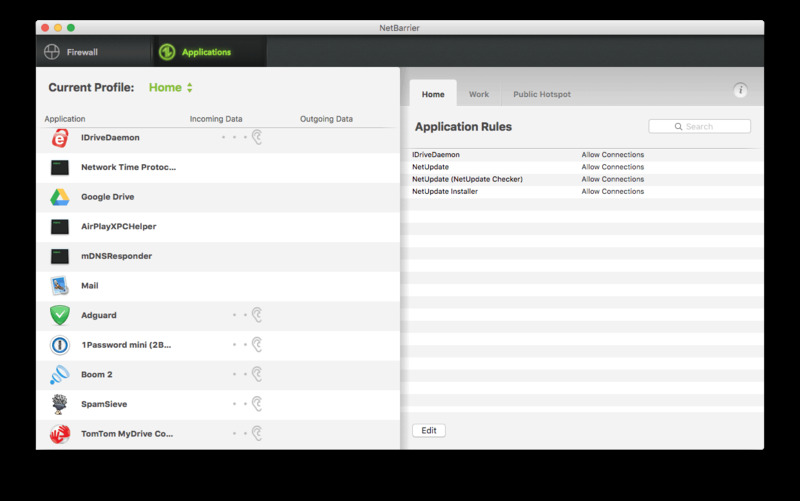 So whats new in Bitdefender Preferences? This new version 2018 with ransomware protection provides the user with some extra choices to make, like Safe Files section to only allow protected locations to trusted applications. The new part of Bitdefender is an active script of Bitdefender checking every application at launch and set its validity to trusted or untrusted/block according to your choice made. With Bitdefender Safe Files you can prevent unauthorized changes to your most important files. 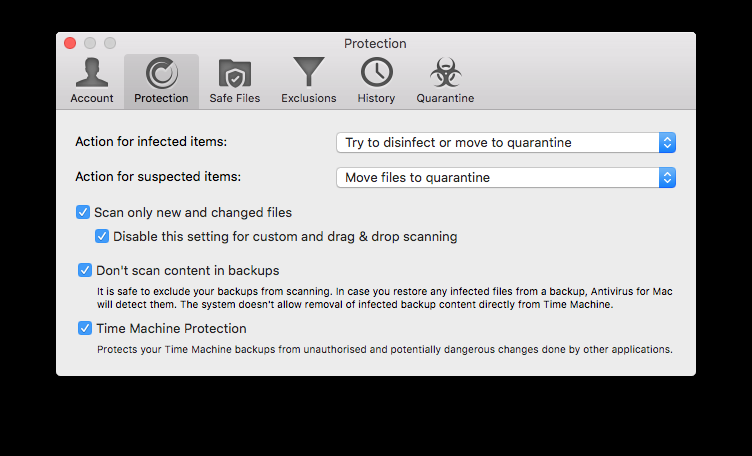 You simply add folders to the watch list, and Bitdefender guards the files stored in them against ransomware and other types of malware. 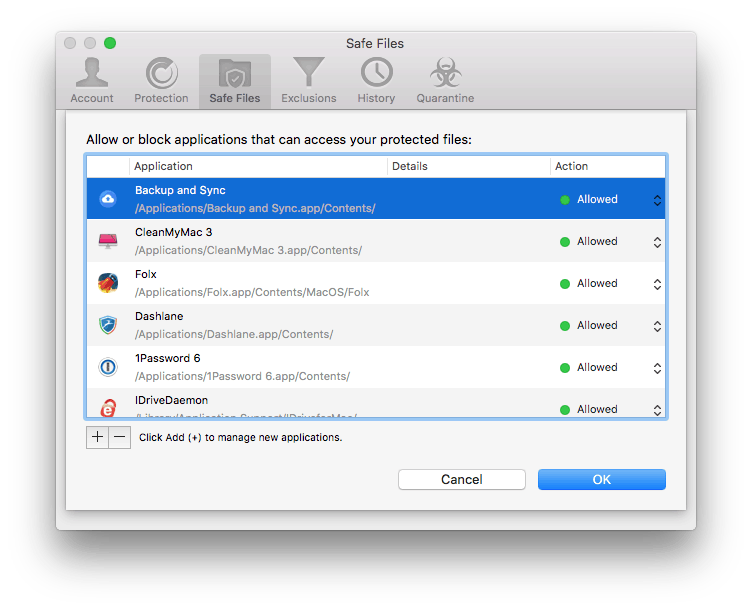 Only applications that you explicitly trust are allowed access to your Safe Files. So this part of preferences is very important and choose wisely what to protect and what not. This section shows you the choices made for all applications protected files access! Check it from time to time to see if it still requires any adjusting. As stated there are a number of antivirus applications on the market, and they all promise ‘ heaven on earth “, but which application is the best out there and at an affordable price? First you have to decide if you need a multi application which will also protect your windows computer, extra firewall, or ransomware protection. All buyers need to rely on third-party virustest results like AV-TEST. Considering the status of AV-TEST, we can be confident their results are full proof. So, relying on AV-TEST results Bitdefender Antivirus scores really well. The performance loss is marginal all compared. 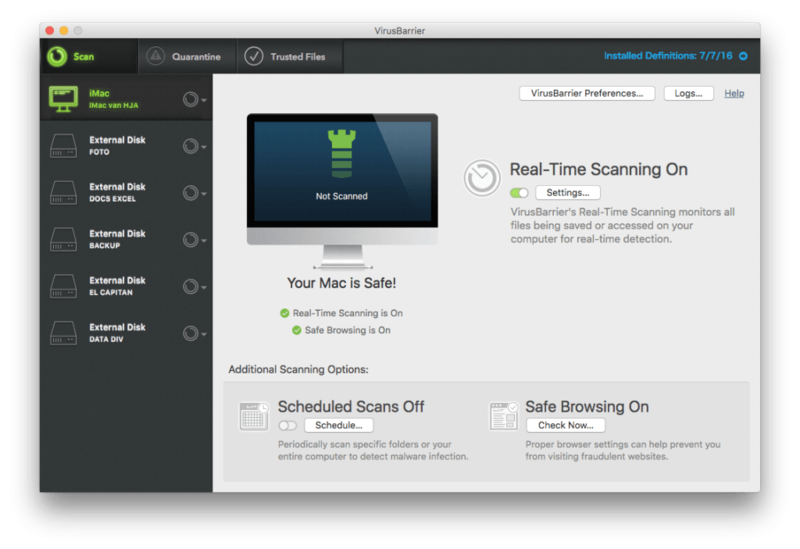 Still Bitdefender scores top marks on any test. 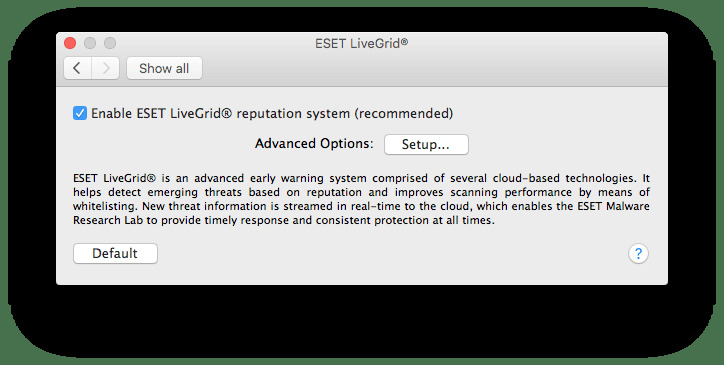 Given its full application control I have it as a default Antivirus installed on our 27″ Mac’s. Updates are regular and a popup tells you when its been applied. 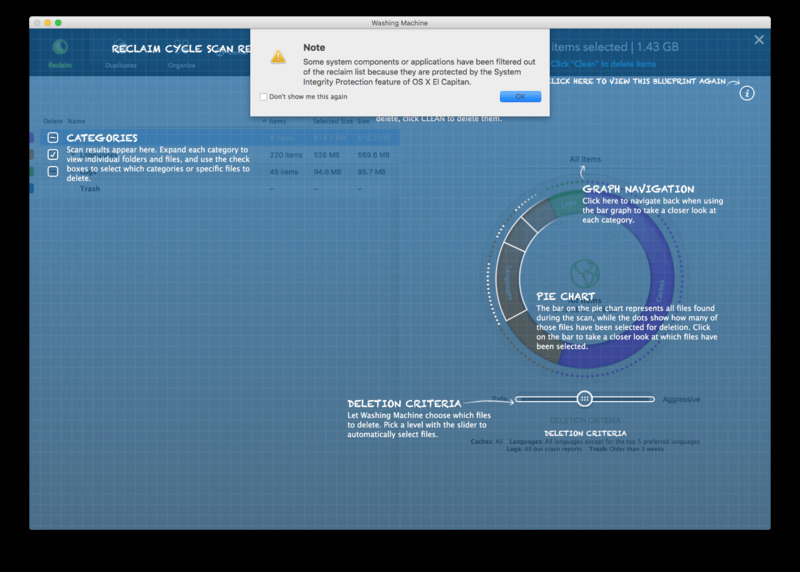 All packages behave like this in practice, but Bitdefender is silently running and protecting you in the background. The only time you really notice its AutoPilot is active, is when using an application for the first time. 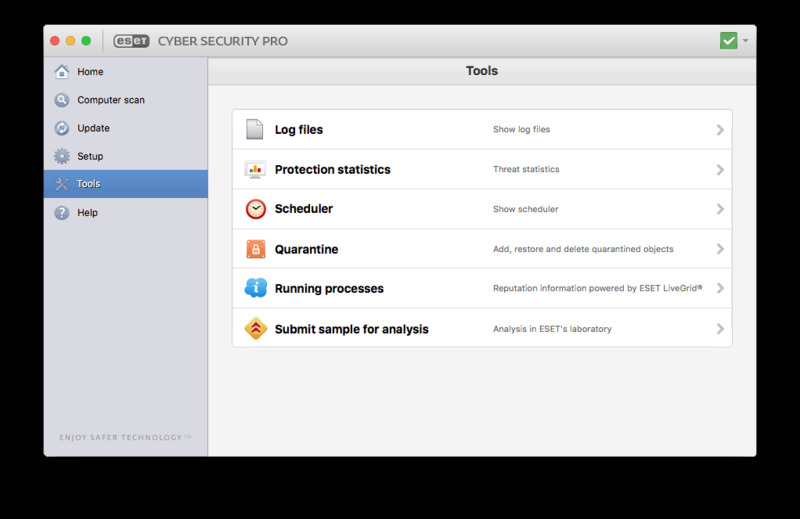 Downloaded or installed by residing applications, it tracks all behavior. 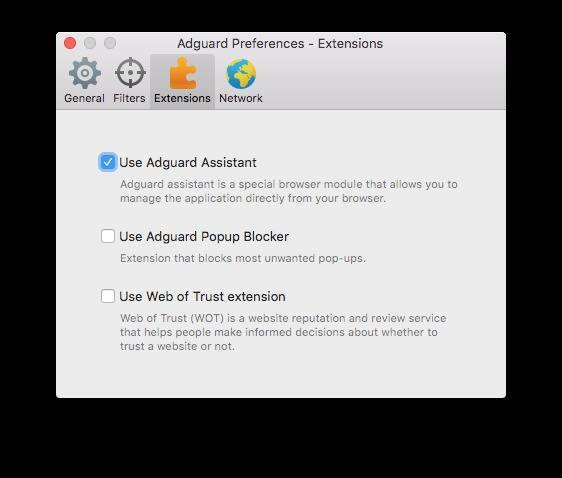 A popup will ask you what to do trust or block. 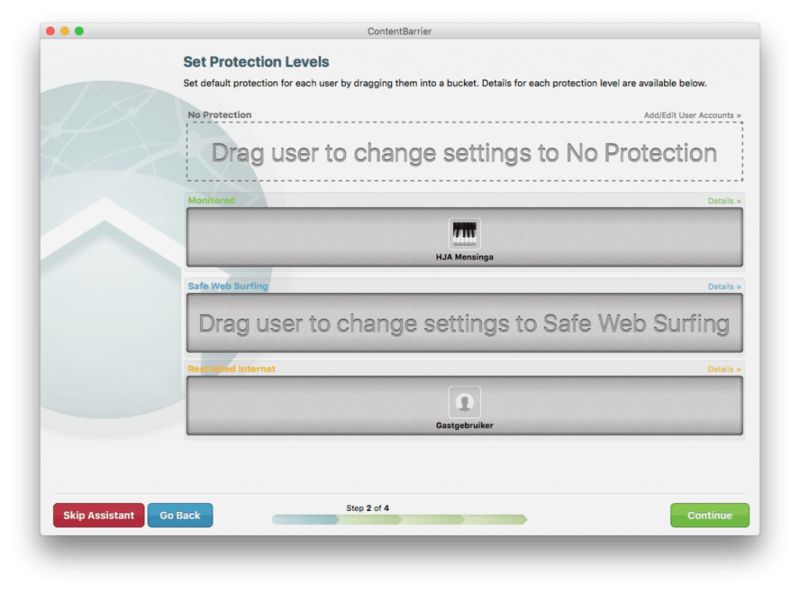 Bitdefender also has its own browser protection for Safari, Chrome or Firefox. 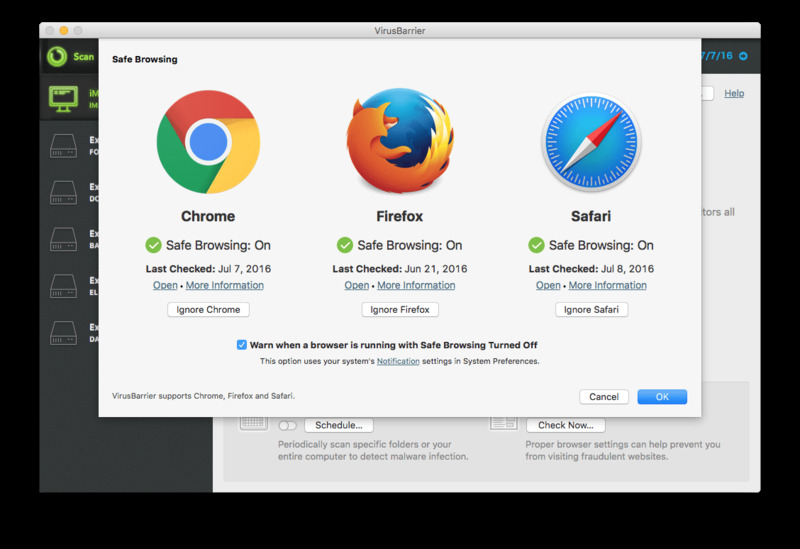 This added security DOES effect somewhat your browsers performance. Well it does in my browsers anyway. Should you enable this feature? By default I think its best to leave activated for most users, as there is a large group clicking on anything presented to get where they opted for. I always check/read carefully the full path, its just my nature not to trust internet. Get yourself the best birthday gift and buy Bitdefender Antivirus 2018 or Bitdefender Total Security 2018 as these are the best performing and protection software applications around. Bitdefender scores top marks in any test, what’re can you ask for. The added file and Time Machine protection and a great price offers the best deal for now. Just checked the Total Security 2018 is set at €39.00 at their store, which makes it unbeatable at present. 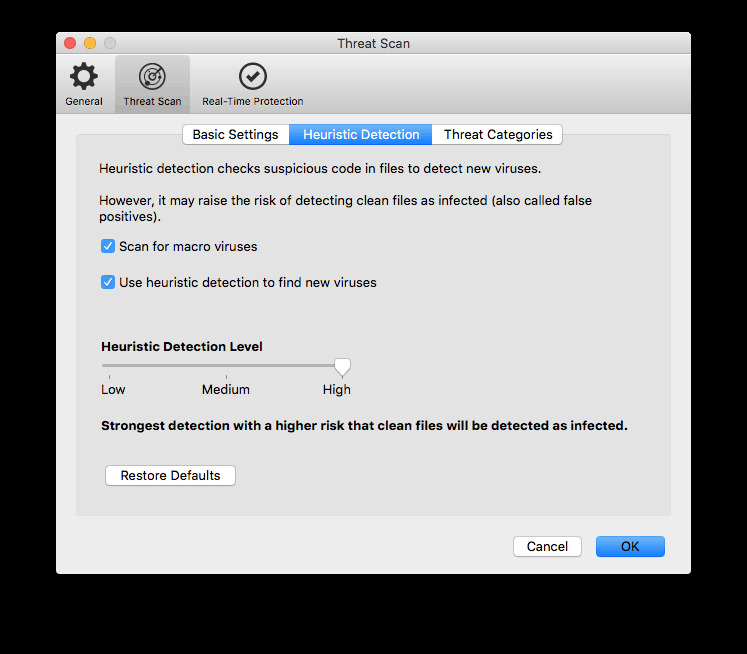 Minimum system impact and 100% detection, provide all we look for in an Antivirus application. Even if you want any other application, I recommend BUY ! Better be safe then Sorry, when it comes down to your data protection. Developer Avira Operations GmbH & Co. KG. Avira Operations GmbH & Co. KG is a German multinational and family-owned company that provides IT-security (antivirus software, Internet Security, Privacy, Identity and Performance tools) for computers, smartphones, servers and networks – delivered as both software and cloud-based services. Avira’s headquarters are located near Lake Constance, in Tettnang, Germany. 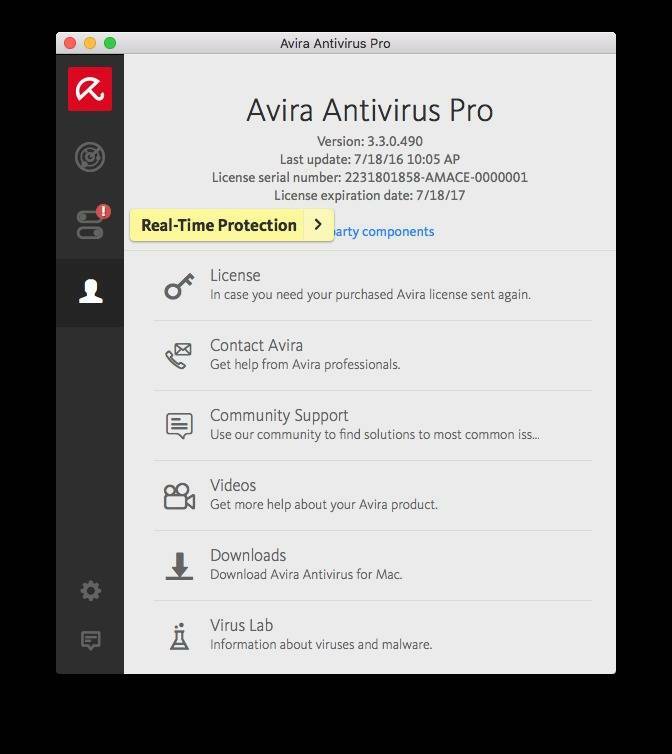 At this moment AVIRA claims to have 500 million installs of her AVIRA products. These amounts make AVIRA one of the top ranking IT-security companies in the world. So one might expect some pretty powerful stuff providing the essential security we all look for. 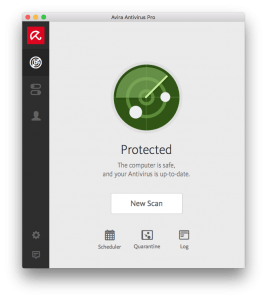 Installing AVIRA Antivirus Pro is simple and easy. No tricks no system restart. There are just no decisions to make in order to install the full application. AVIRA provides Operating system integration with a system tray icon in the menubar. 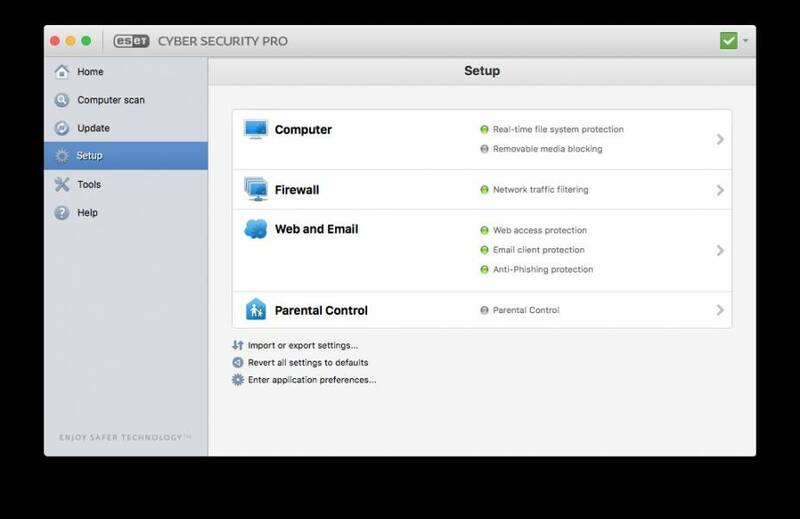 : The System Tray icon indicates whether protection is enabled or not. 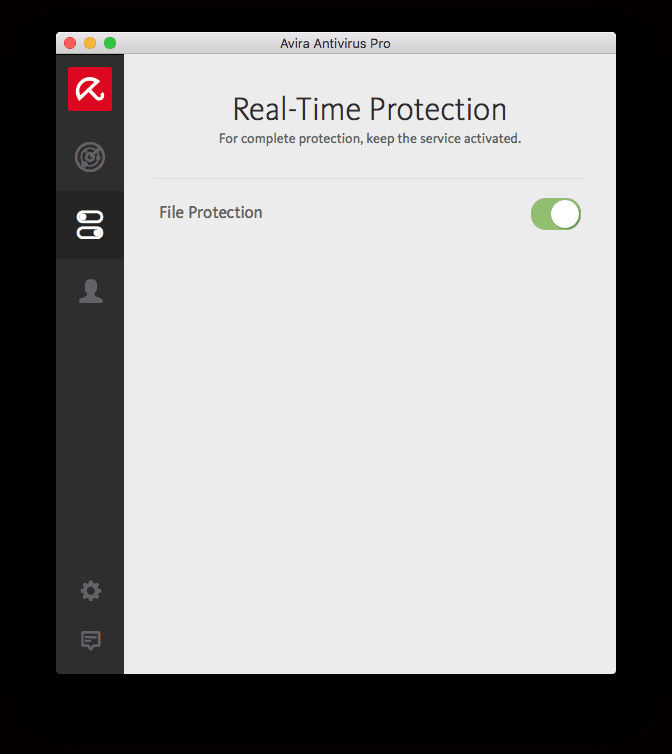 AVIRA has the looks of a simple antivirus application, but in reality contains all relevant protection needed. 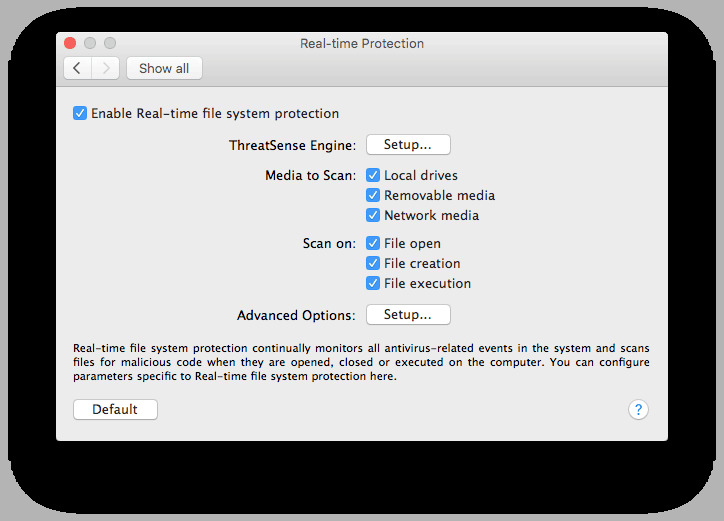 Real-Time protection is available. 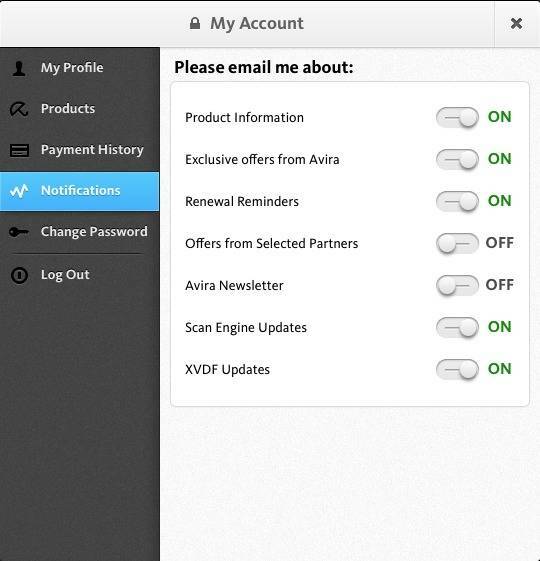 The AVIRA interface warns the user when chosen settings lead to unsafe system protection level. To change the ‘Red’ unsafe state just choose ‘Enable all systems ‘ and the interface will change to Green Protected . Just below the scan button we find a Scheduler button, allowing a scheduled scan to be configured. AVIRA scans are accurate,fast and AV-TEST reveals 100% malware detection and we tested around 7% CPU system load ! 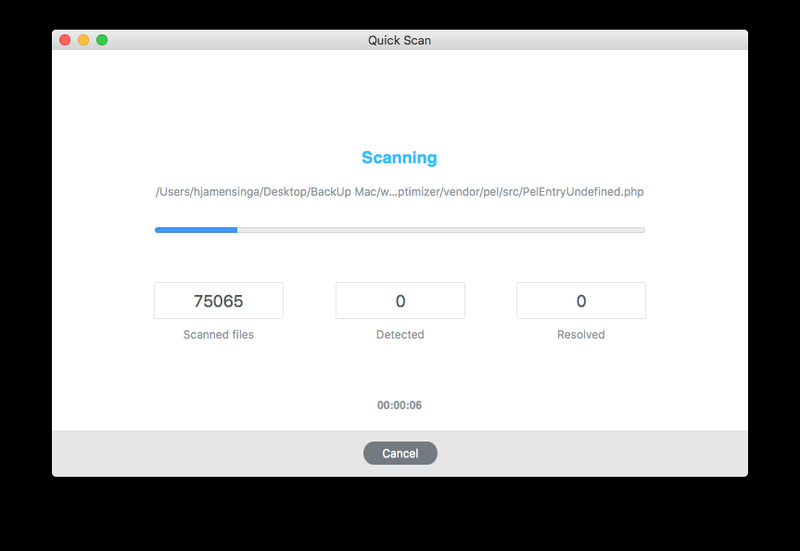 During scan speed tests we found AVIRA ‘ NOT scanning ‘ the provided dmg files. When all competitors unarchive the dmg files for in-depth scan, AVIRA just went on scanning others. Strange behavior for an Antivirus application, so we contacted AVIRA Technical center and asked if our findings were just and why AVIRA shows this dmg filescan behavior. 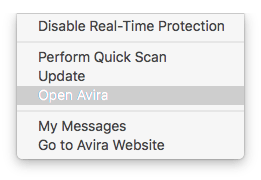 AVIRA officially states that its true AVIRA skipping the .dmg in-depth scan, as they feel the on going Real-Time protection will respond if necessary when users open the .dmg files. To me this sounds like the wrong approach towards safety ! AVIRA officially states the in-depth scanning of dmg files will be implemented in a future version. AVIRA Antivirus Pro for Mac provides excellent security and scores 100% detection. 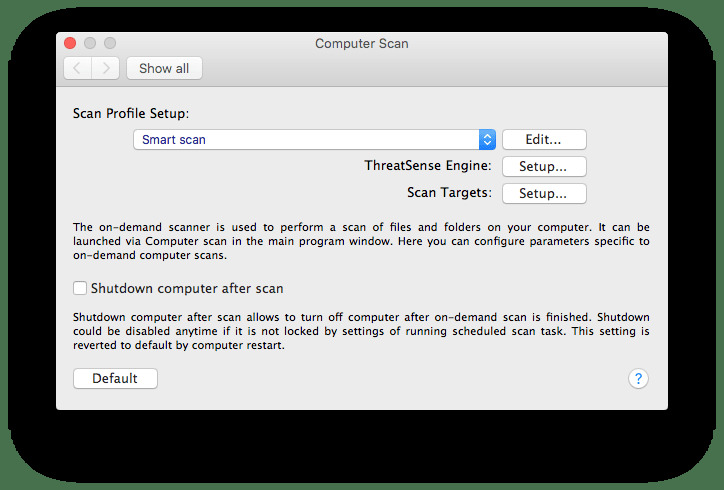 Scan speed is good and impact on system performance is little, use the well designed scheduler for timed scans. AVIRA is a strong performer, and provides aspects of two worlds, simplicity and great security levels. It gets a five star recommendation. 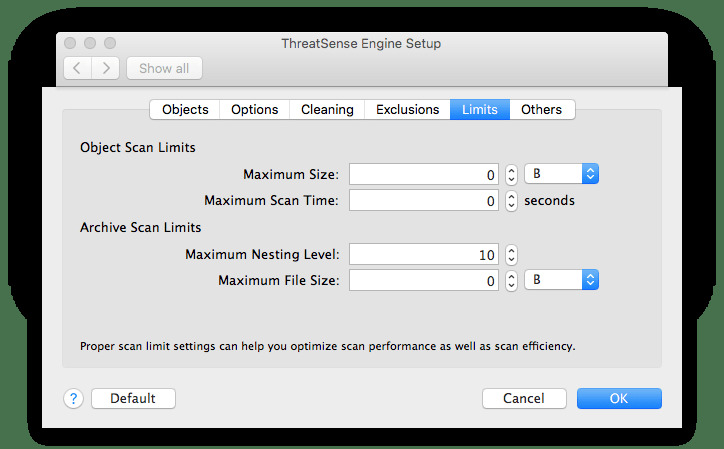 sort and rank the good from the bad, like malware detection score, anti-phishing protection and system impact on scanning. Extra’s like own firewall, parental control, backup software, web protection are to be taken in consideration regarding price and provided features by buyers. AV-Test 2016 provides honest and true malware detection scores of the main developers, trying to duplicate their extensive research is wast of time, as they are acknowledged by all companies. So ‘ what is left to research ‘ Antivirus scan behavior? This review is performed with the mayor and best known applications and tested at normal user level and system load. Prior to every scan run, memory was optimized in order to have no influence on results. Scanning the provided maps showed some strange differences between the Antivirus contesters. None were consistent overall, and presented values changing on scanned file-type. These results show developers use different algorithms and priority code in their software. 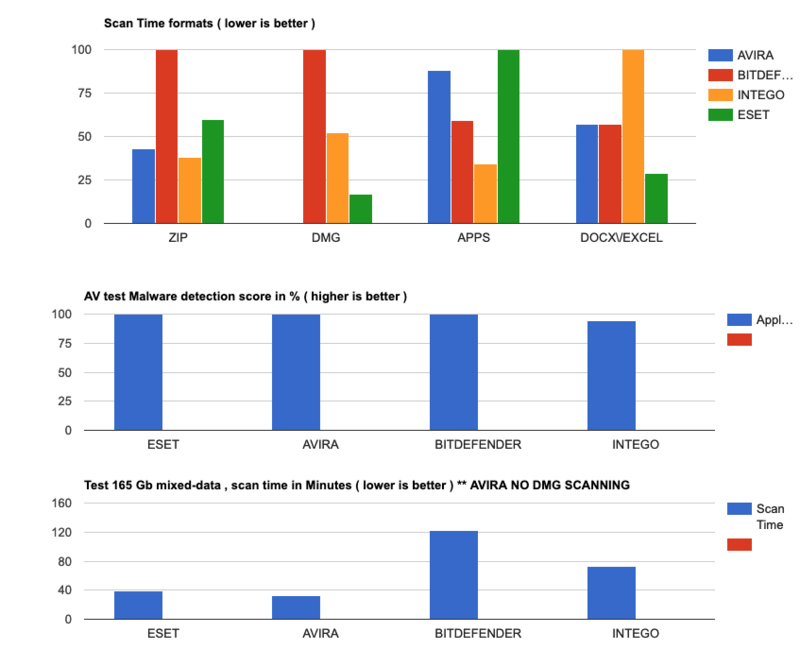 While it is good to see the differences in behavior in scan results on specific file types, our harddisks are populated with a mix of file types, making the mixed test most important. ** AVIRA Antivirus Mac Pro skipped scanning the presented DMG files. AVIRA was not unarchiving the dmg files to perform an in-depth scan. AVIRA helpdesk was contacted as I felt the .dmg scan performance is not what a antivirus protection should be doing. AVIRA Technical service confirmed AVIRA is NOT scanning DMG files, but uses its Real-Time protection to respond when unarchiving a .dmg file by the user. This DMG in-depth scanning will be implemented in a future version of AVIRA I am told. Block viruses and hackers Anti-Phishing protects your identity by preventing fake websites from stealing sensitive information. Protect your identity Social media scanner blocks malicious content and lets you manage your personal info on social media. 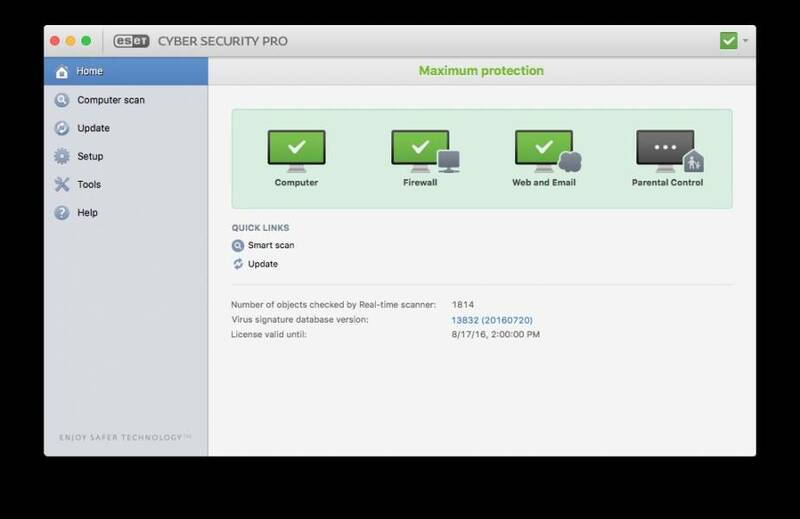 Protect social networks Free, U.S.-based email and phone support keeps you running smoothly. Enjoy free support Automatic banking protection opens a special secured browser for online shopping/banking. Shop safely online Personal firewall blocks Wi-Fi hackers trying to steal your account details and other sensitive data. Stay safe on Wi-Fi® Parental Control lets you filter websites by age group or content to keep kids safe online. 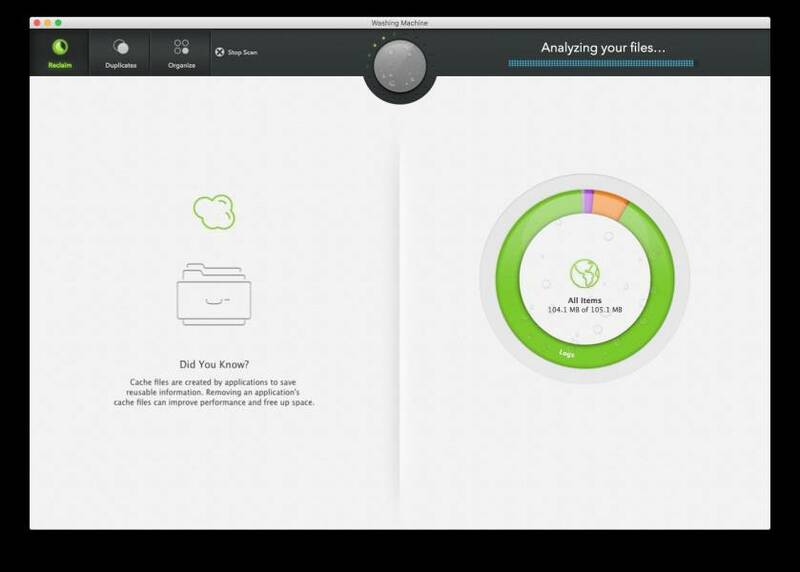 Protect your family Anti-Theft lets you track, locate and remotely erase a lost or stolen mobile device. 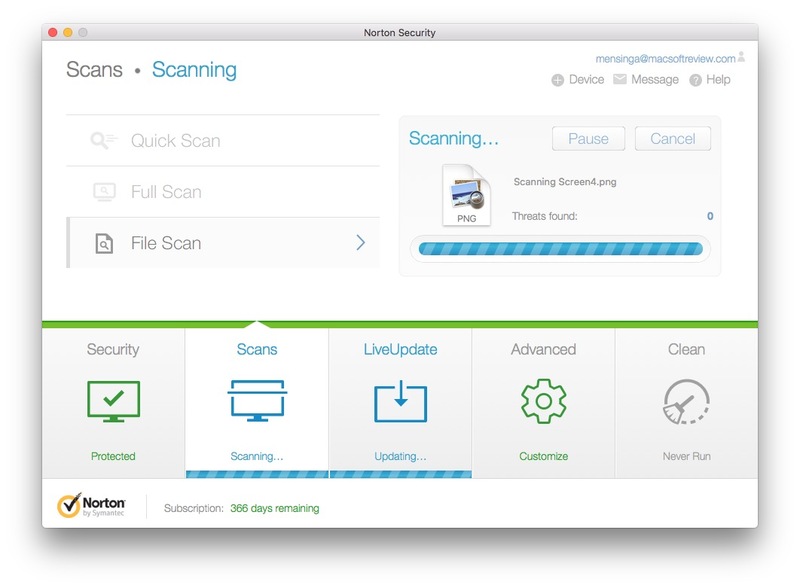 Antivirus Scanner Award-winning protection from malware (viruses, Trojans, worms, etc.) Smart A.I. Unique, deep-learning algorithms protect you from the latest threats. Avira Intelligent Repair System Best-in-class technology that repairs all damage caused by malware to your files. 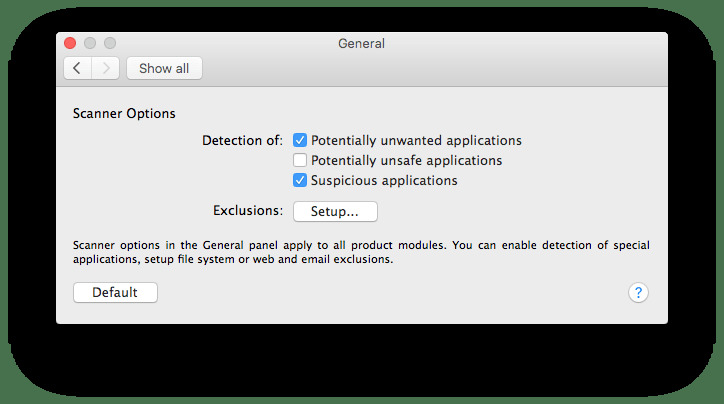 PUA Shield Identifies potentially unwanted applications hidden within legitimate software. 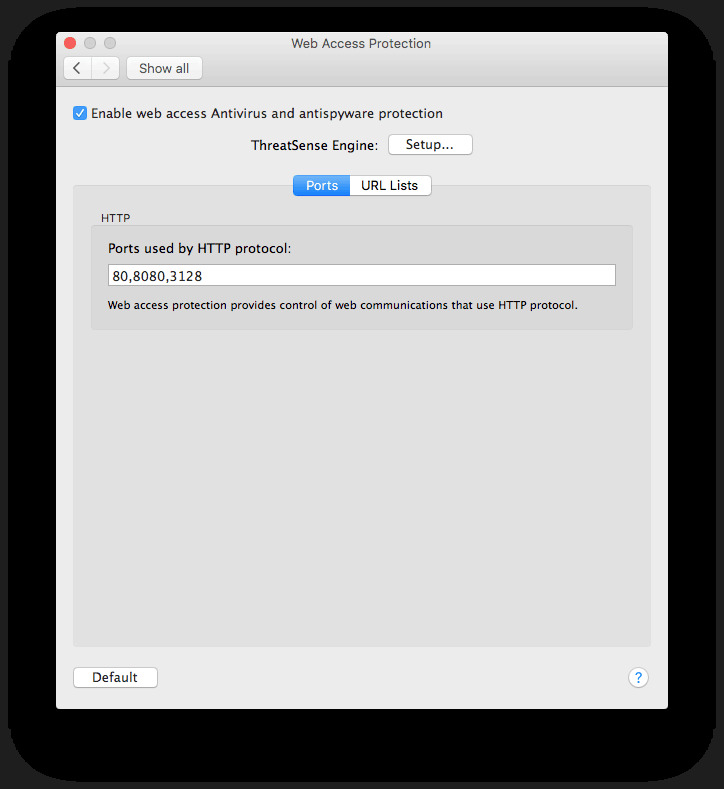 Web Protection* Blocks malicious and phishing websites from loading. The final verdict is based on the scanning ability of the application. 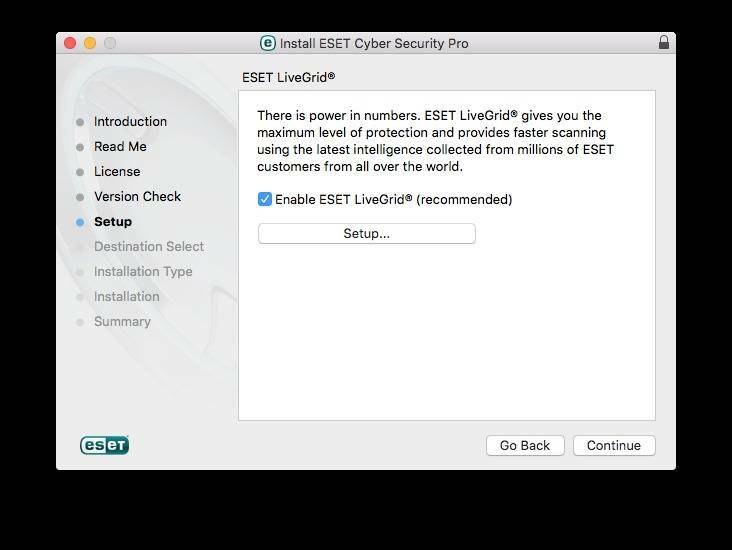 The more expensive applications ESET and INTEGO offer more really useful features, but it is up to you to decide if you need these additions. 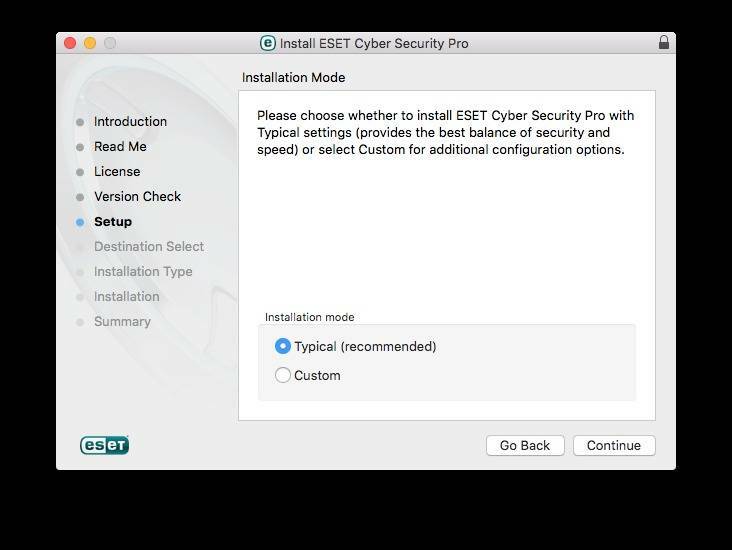 ESET Cyber Security Pro was an overall winner in terms of measured performance, protection and security results. AVIRA Antivirus Pro doesn’t scan DMG-files which makes it incompatible for the final mixed test. We think it will score between Eset and Intego if it were to include unarchive dmg-file and scan. In the end you can’t go wrong with any of these applications. 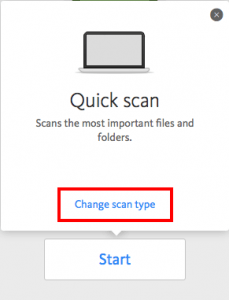 Is your Mac vulnerable for any security problems you may ask yourself. 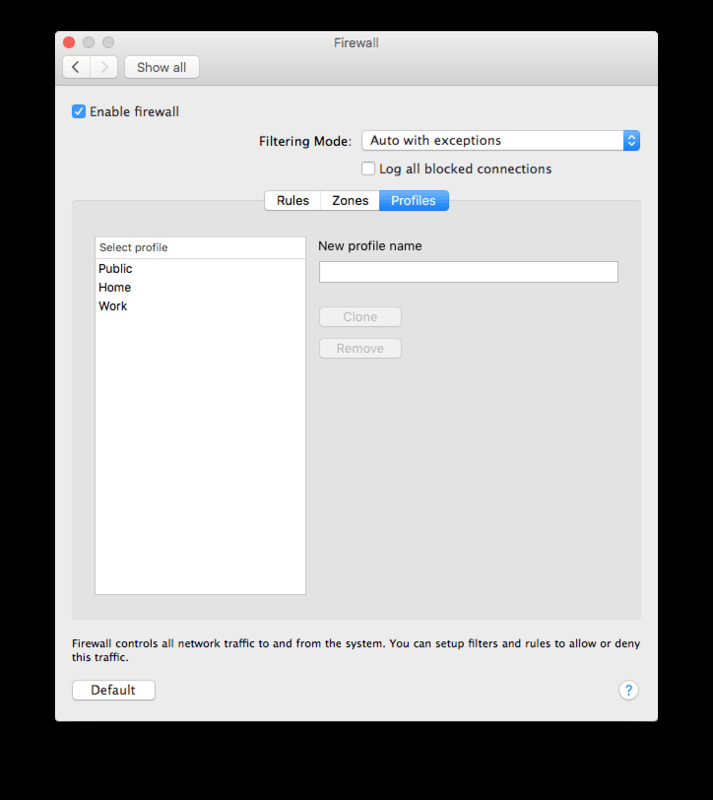 Unfortunately Mac users are also faced with ever growing internet related security problems. Apple products are used by millions of people thus make it interesting to internet crime. Intego founded in 1997 is a mayor player in todays Mac and Apple security products and offer a full range Apple products. 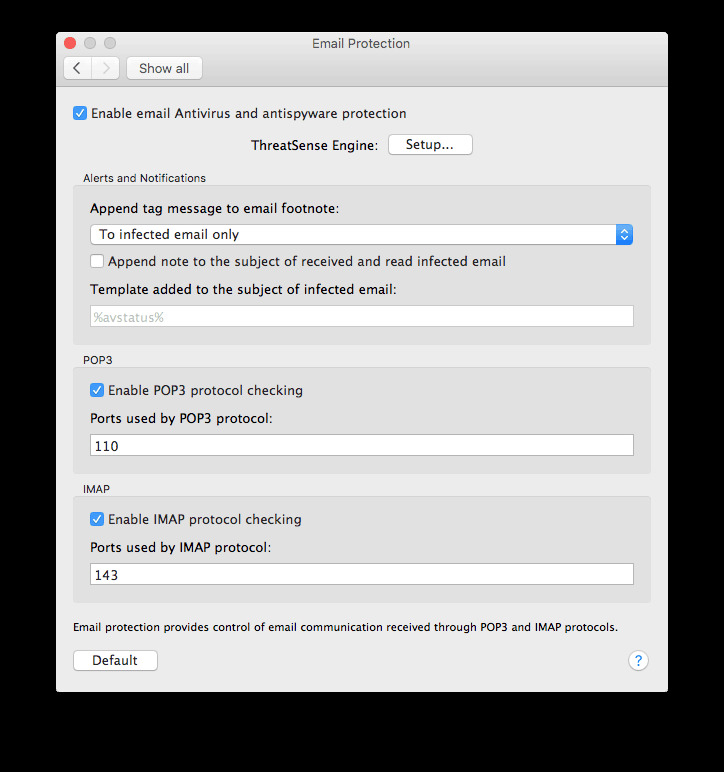 Being involved in Mac security from the beginning, Intego gained a solid knowledge of security problems Mac users face these days. 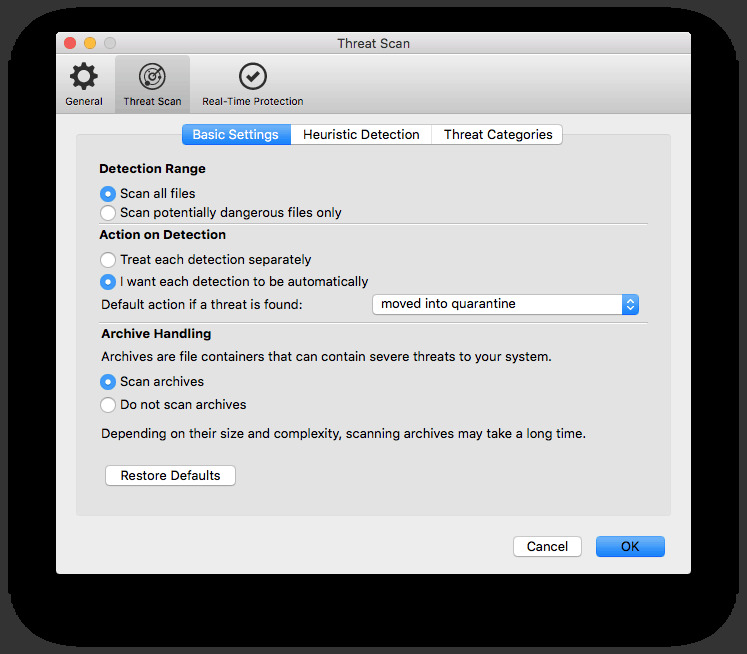 Malware, phishing and viruses tracing your personal information are security risks Mac users face too. What once only threatened Windows users now also applies to Mac users. 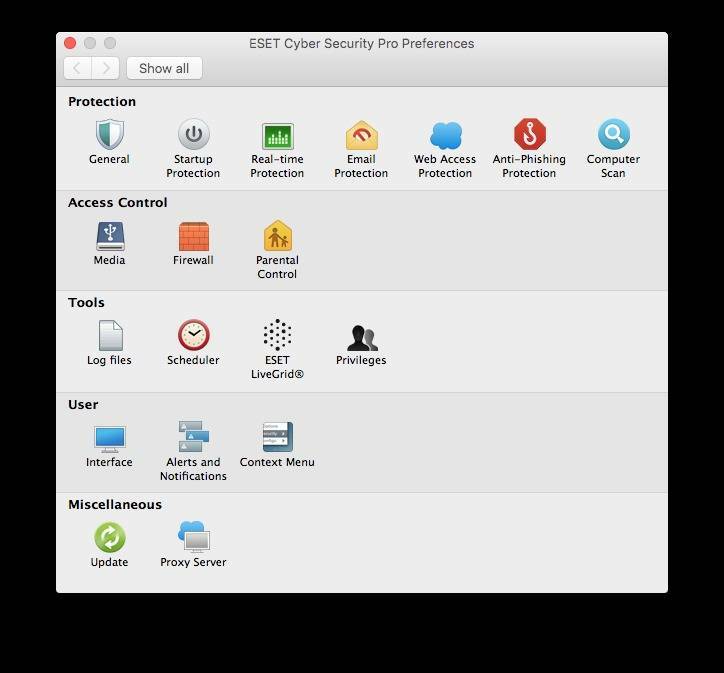 Intego now offers a latest and again improved security product named Intego Mac Premium bundle X9. A full package with an all-in one feature set. 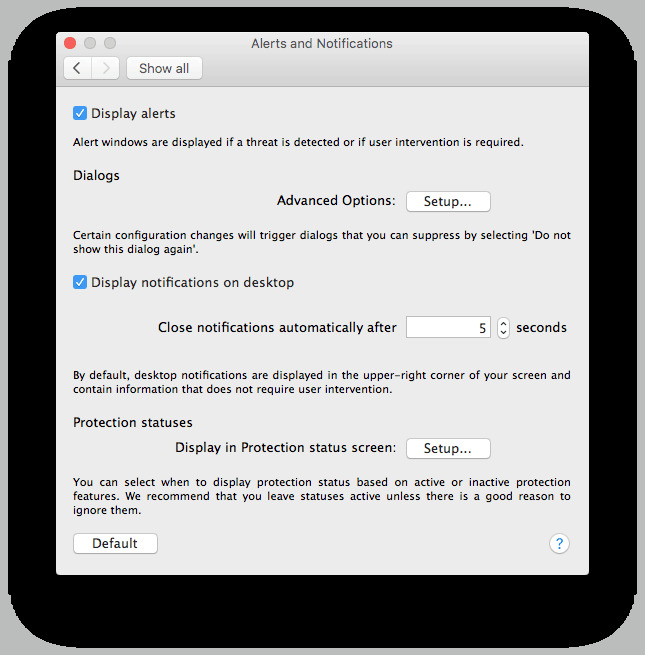 Intego provides Mac users with full protection from all the dangers of the Internet. A restart is required after installation. After this, the product has to be activated or the trial version selected. 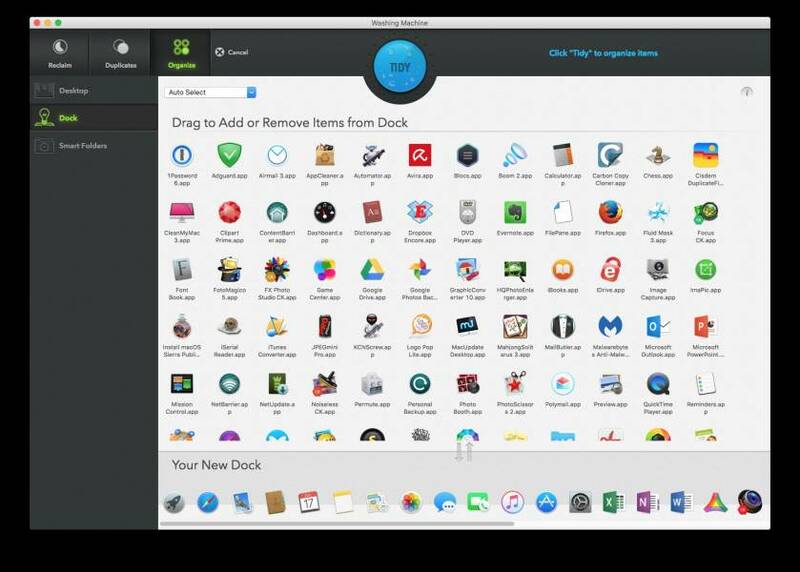 Into Mac Premium bundle X9 offers a full featured bundle containing all needed security apps and extra’s like Washing Machine, Backup software. are set easily and provide real-time security. VirusBarrier is like its name suggests used for scanning your computer and external connected disks for known viruses, which definitions are updated automatically. VirusBarrier is judged by its ability to find, detect and clean viruses. Malware and phishing detection and cleaning is also part of its security abilities. Comparing VirusBarrier X9 to the competition in terms of detection rates of accuracy is at this moment not possible because AV-Test has not performed an in-depth report including this Intego version X9. We can only relate to scores related to X8. However we feel that a new version like X9 should equal the past results or even out perform earlier results by X8. 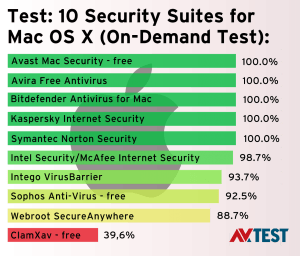 VirusBarrier X8 protected against 100% of the Mac malware in the test. 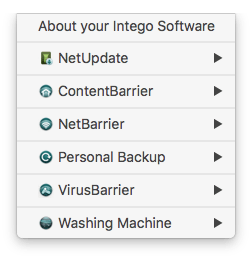 Intego NetBarrier blocks unsolicited visitors in their tracks, keeping the bad guys out of your Mac. It provides an extra firewall and home network security. 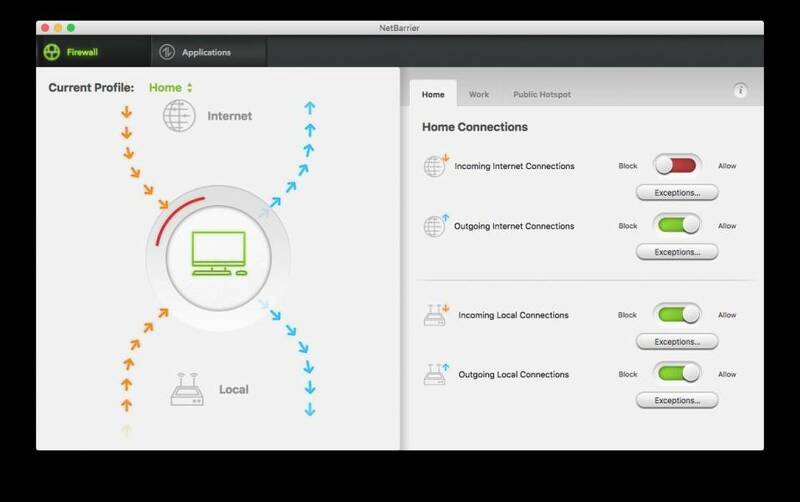 Making the NetBarrier work, it will ask the user for permission for every program started the first time and requiring outgoing internet connection. Incoming internet connections are blocked by default. So to get the protection level wanted, its up to the user to provide the right settings for internat access in or out ! So read the popups and do not just hit ‘ yes’ , because you don’t want to see popups appearing. Its where security starts, always with the user ! YOU decide and make choices. Once all present programs have been used ( first time ), no more popups will appear. You’re all set now and have extra security within your network. 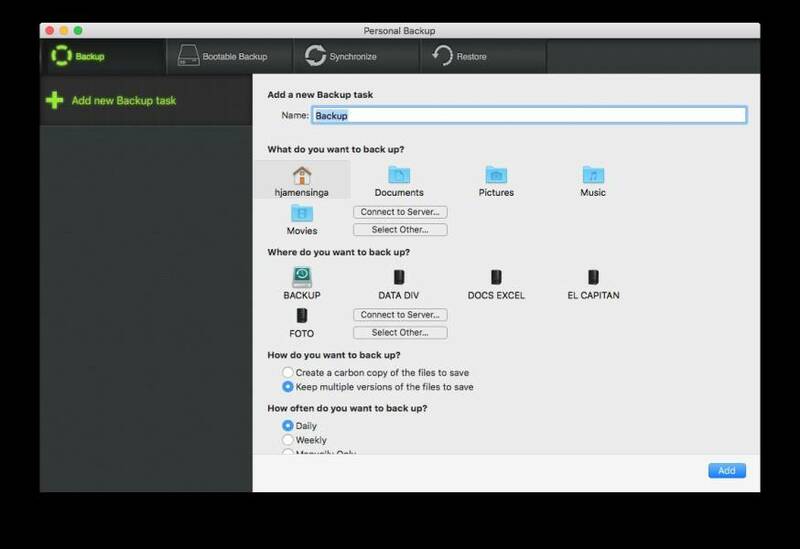 Back up essential files automatically. 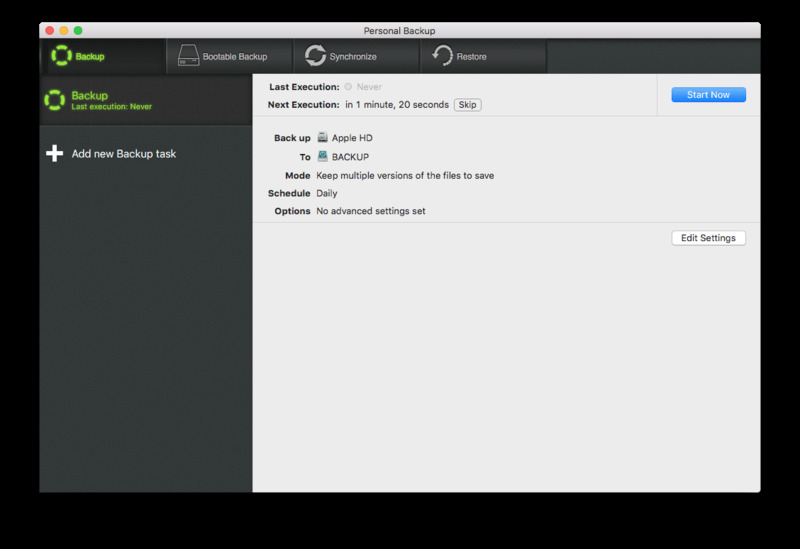 Create your own Backup schedule, normal or bootable backup and Restore if needed. 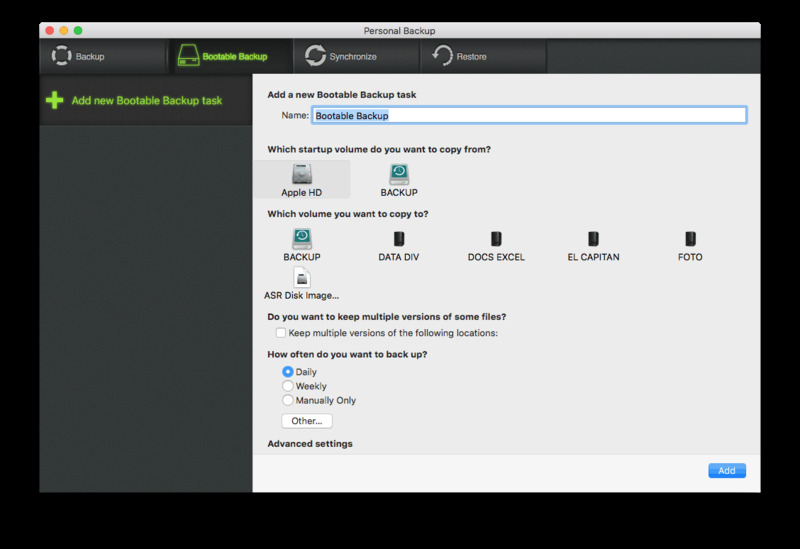 This backup software provides most used, basic backup options. Also backup to external servers, and provides standard backup presets for documents, pictures etc. Works really easy, and does the job ! Again I say most users will be happy with the provided options, if you need more extensive features you need to get yourself a third party software app. Useful if you have a lot of clutter on your disk or duplicate files. 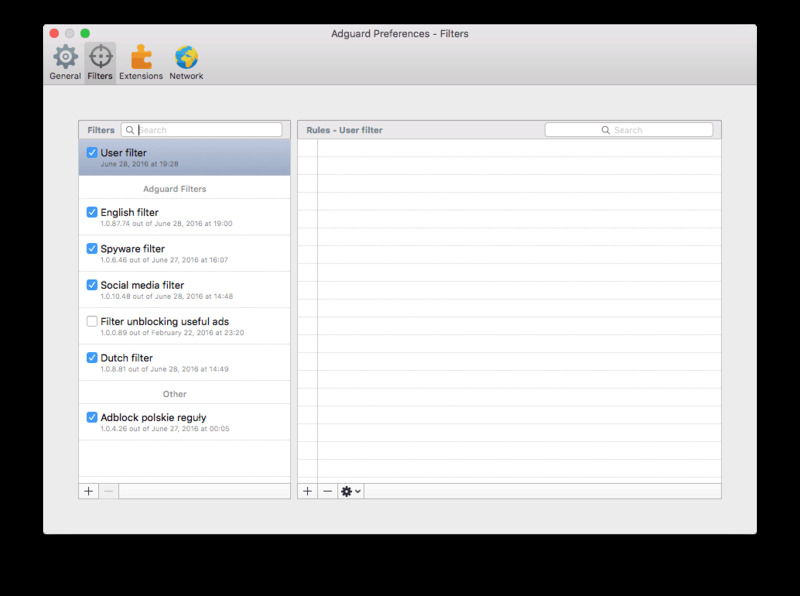 Nice interface, presets for Cashes, Downloads, Languages, Logs and Trash. 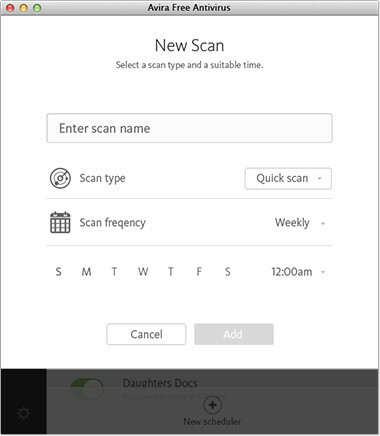 Scan area’s are pre-defined so scanning time is reduced. Nice extra feature in this fully packed bundle. Parental Controls keep your children is wanted on allowed sites. Our verdict is based on the full Intego X9 bundle and its ability to detect and clean viruses, malware and phishing elements. A great interface , fully packed with all features one could possibly ask for and fair scan speed and detection complete a trustworthy Antivirus application . Malware is detected with a high rate of accuracy. It saves you from phishing attempts. 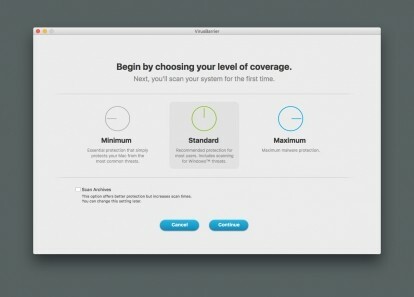 Computer performance is not heavily influenced and it looks and works as a true Mac application. Its features are extensive. 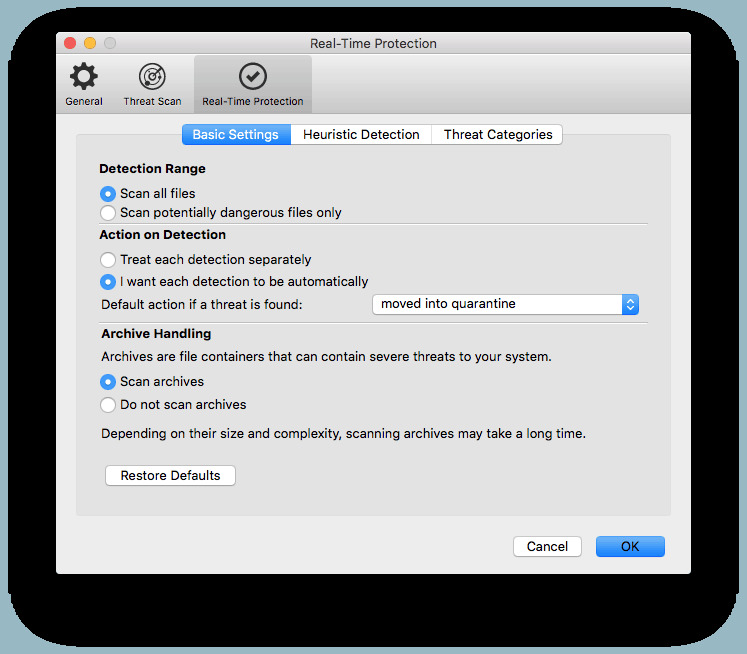 It provides a lot more then most other Mac security software applications: a backup utility, parental controls. 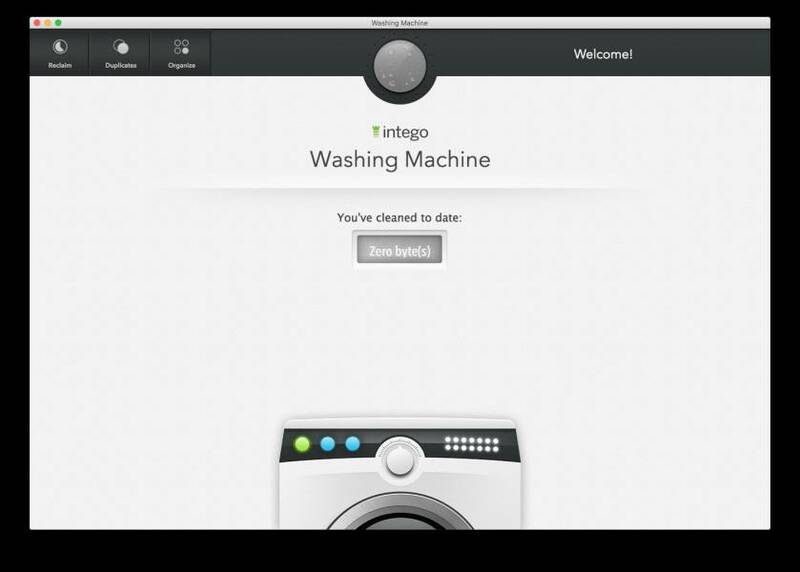 Washing Machine and scan connected iOS devices. 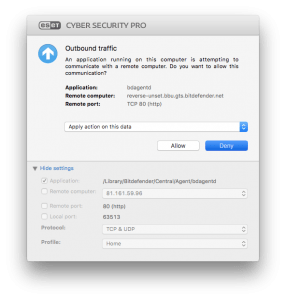 Intego Mac Premium bundle X9 is one of the best internet security products for Mac. If you are serious about your internet and computer protection, this is a great security bundle.